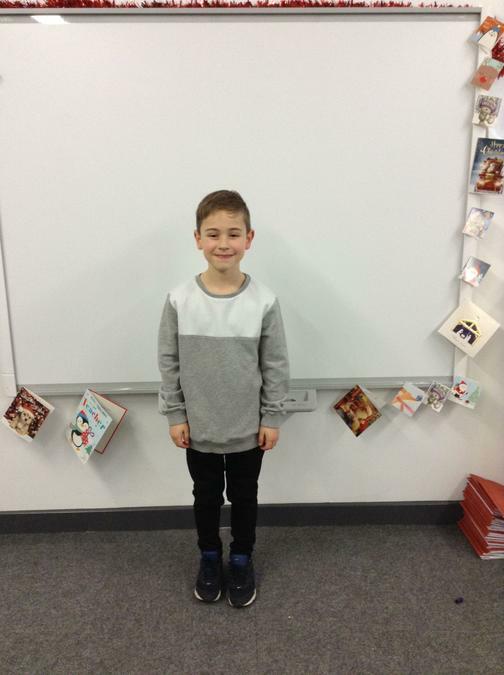 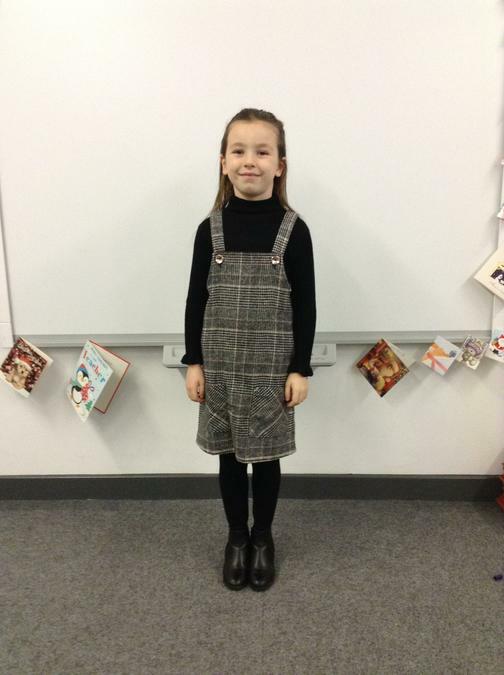 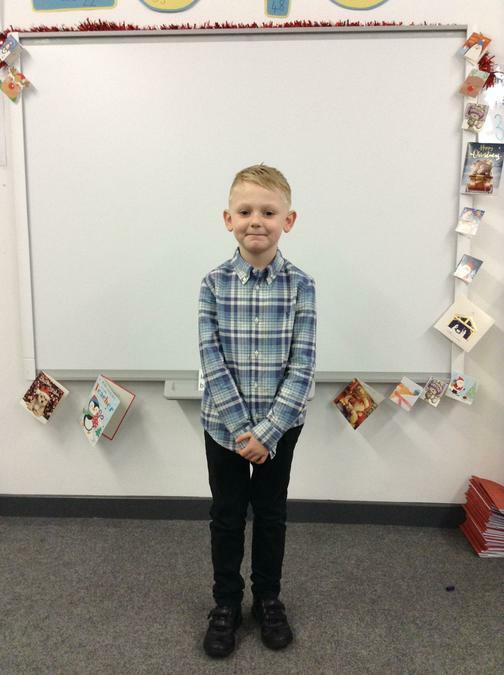 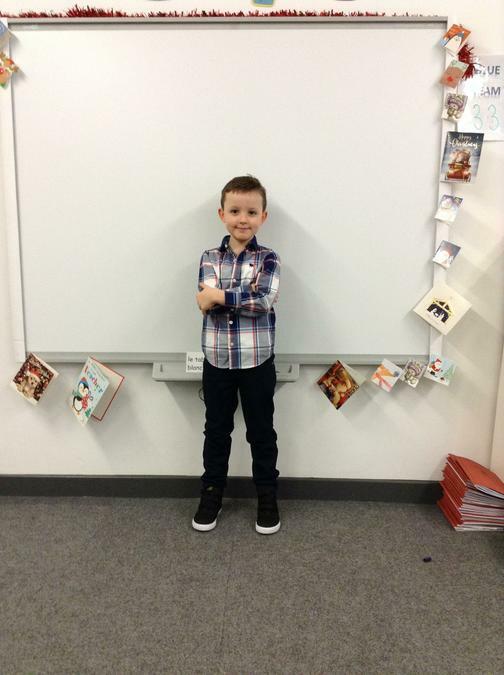 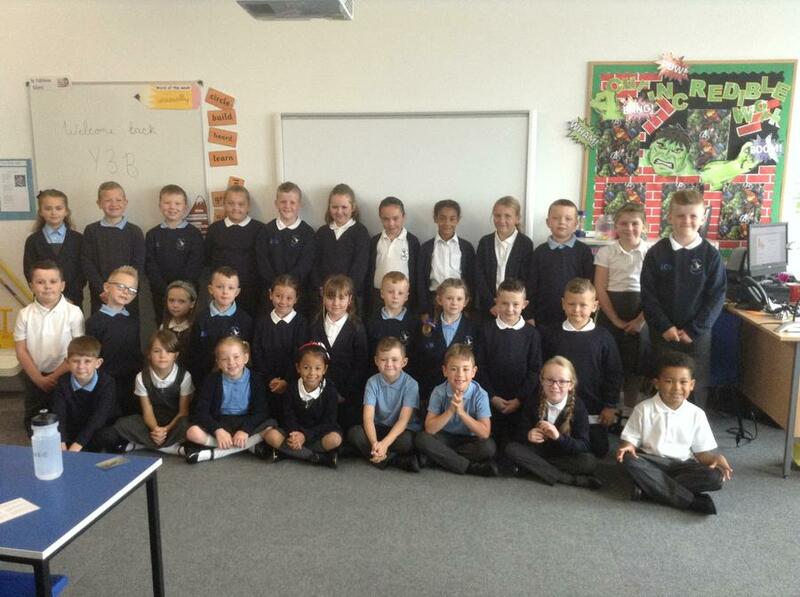 Hello and welcome to year 3B! 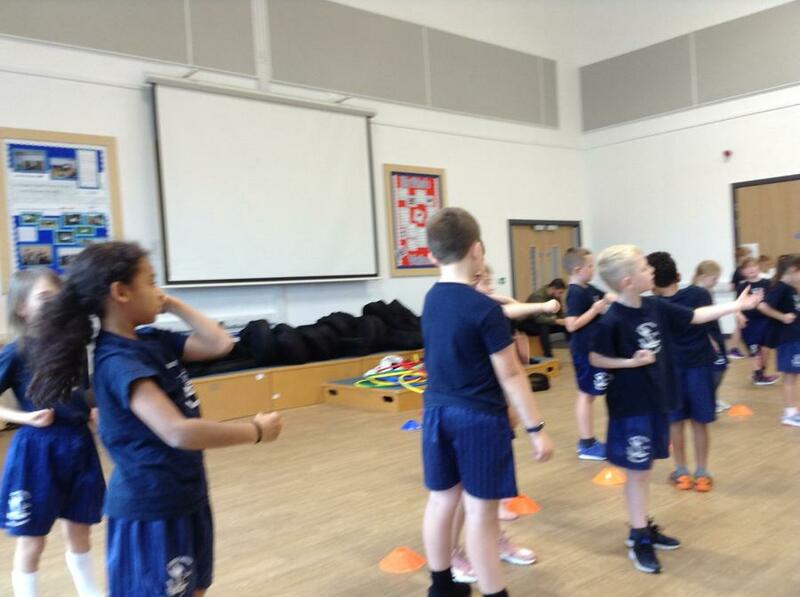 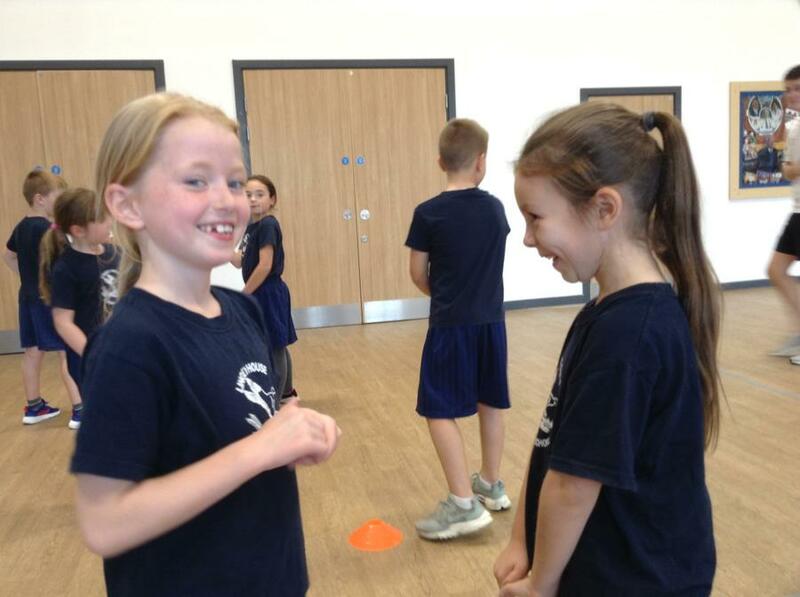 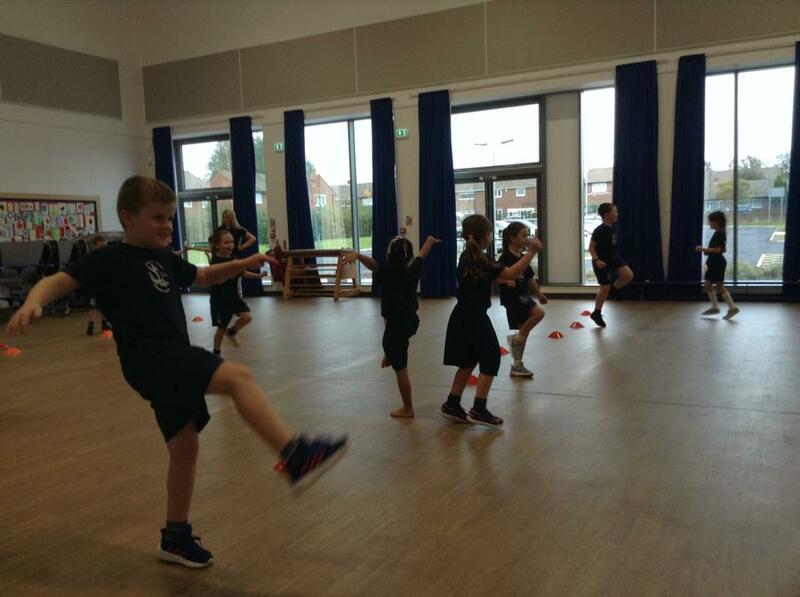 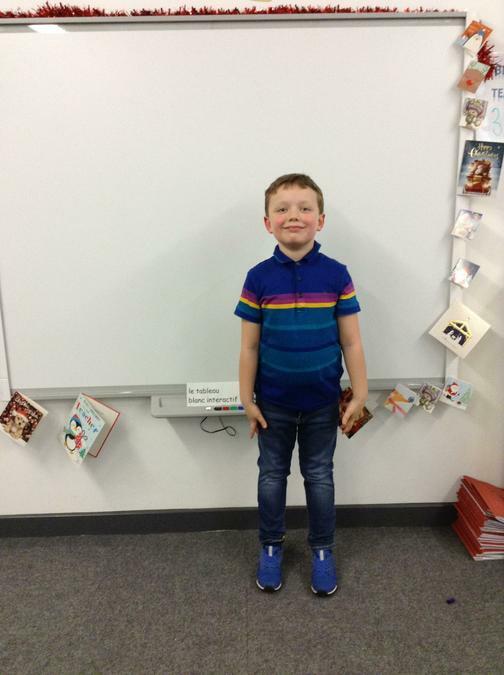 I am Mr Bloomfield and I am looking forward to teaching and working with 3B this year. 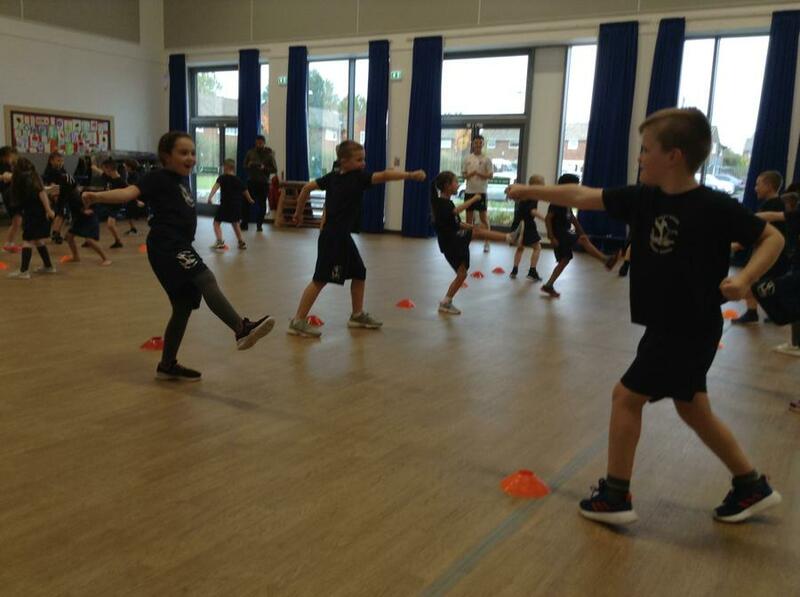 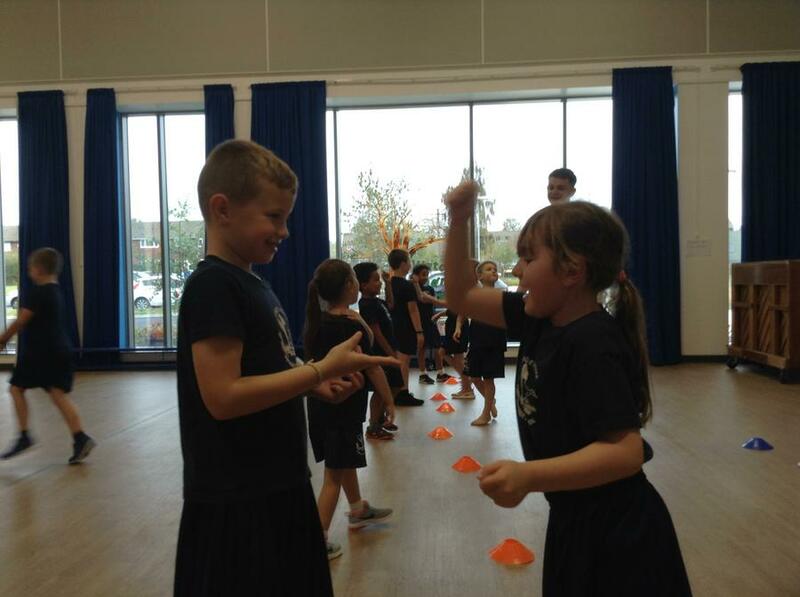 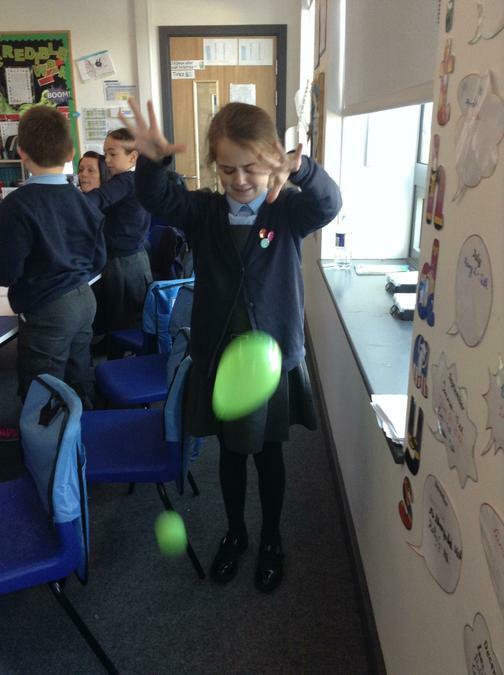 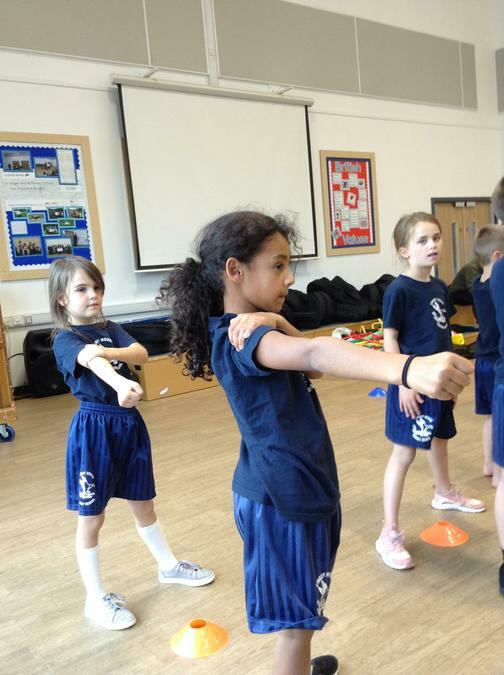 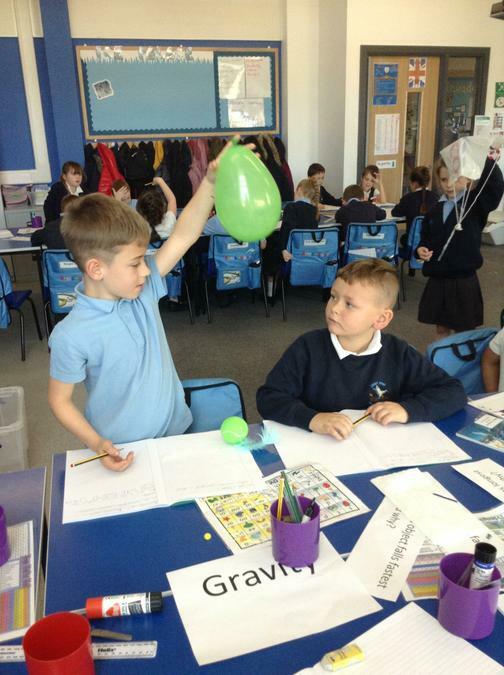 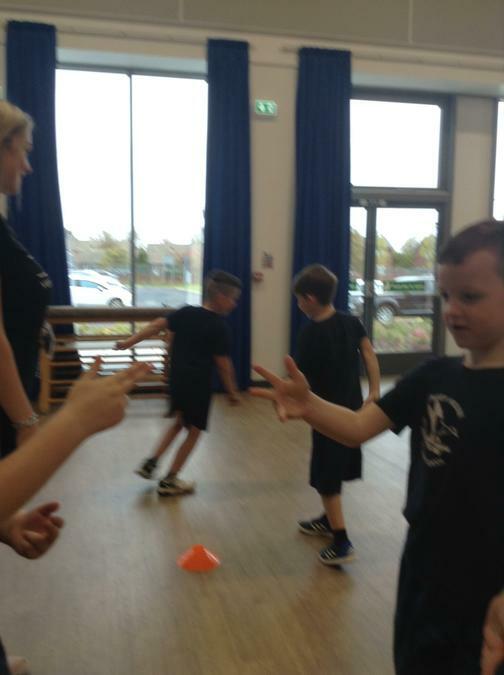 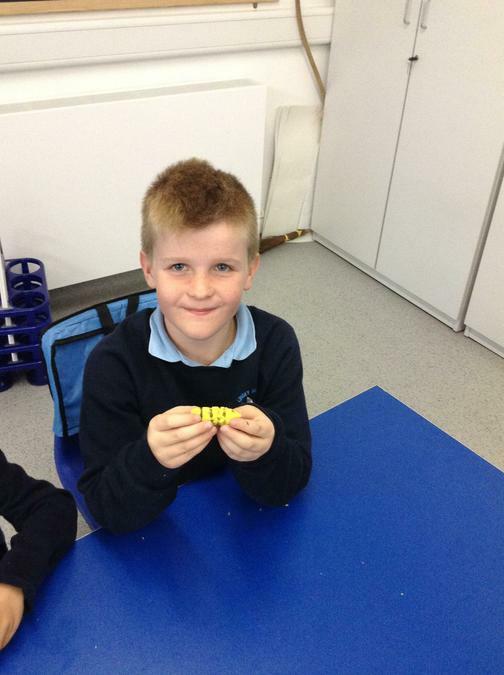 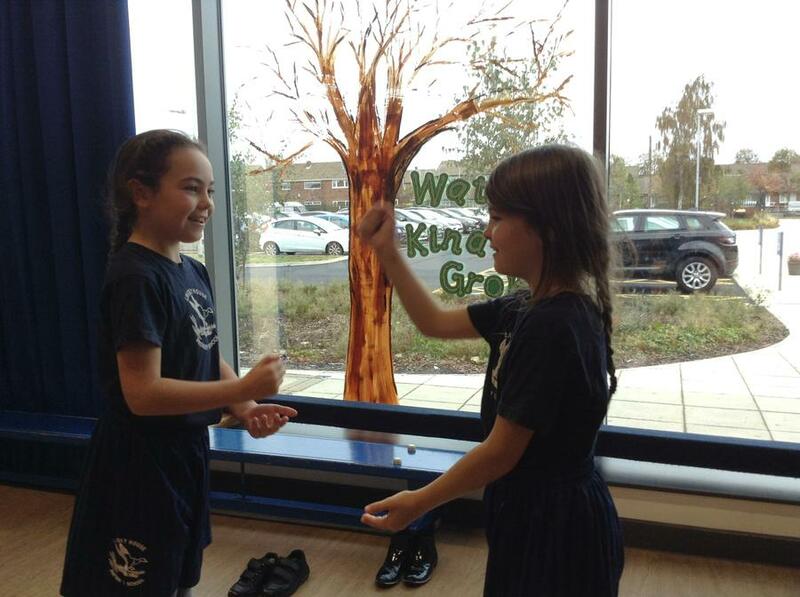 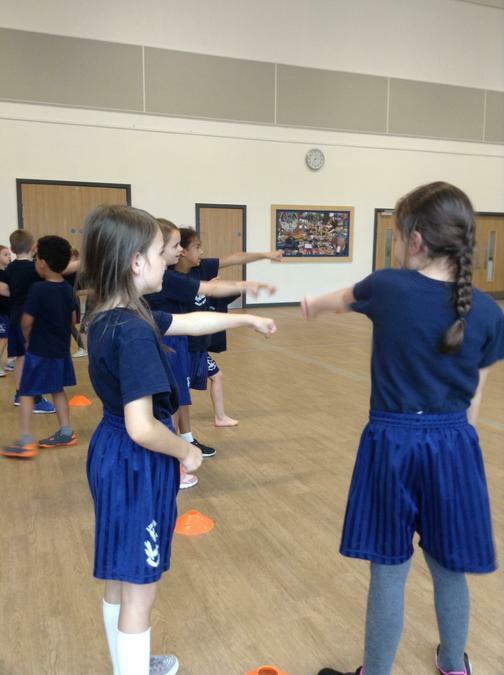 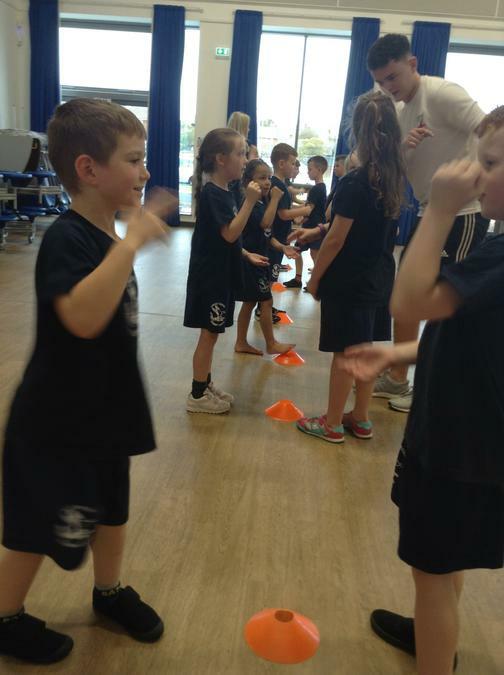 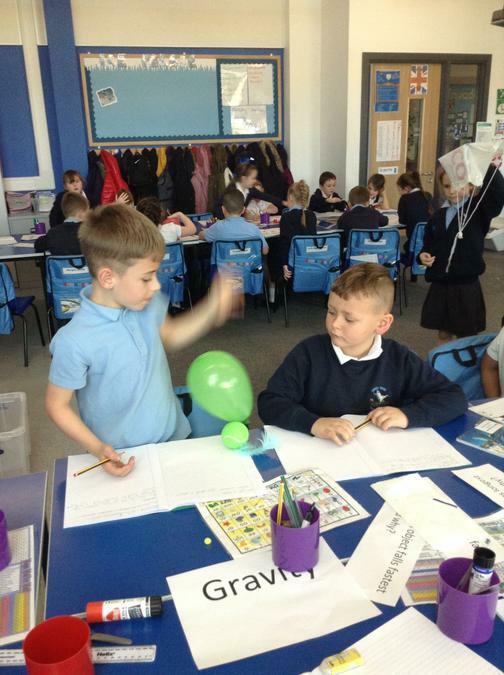 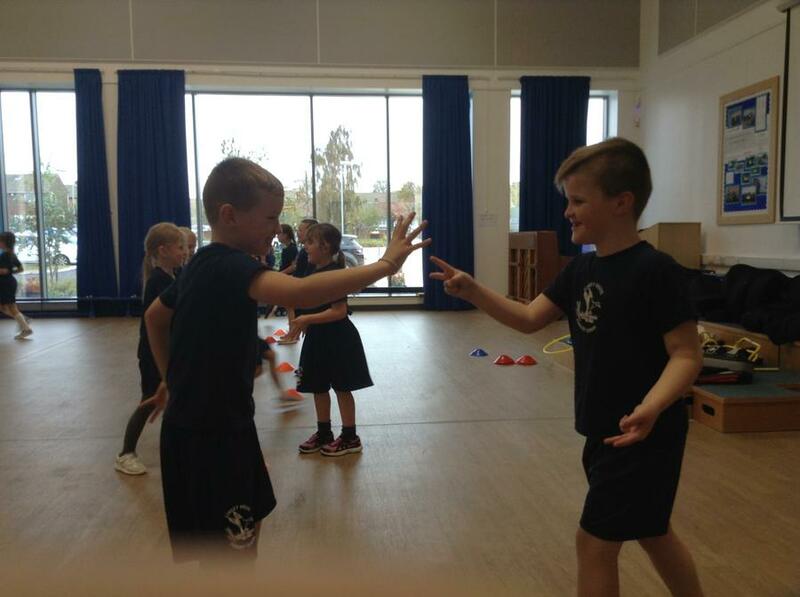 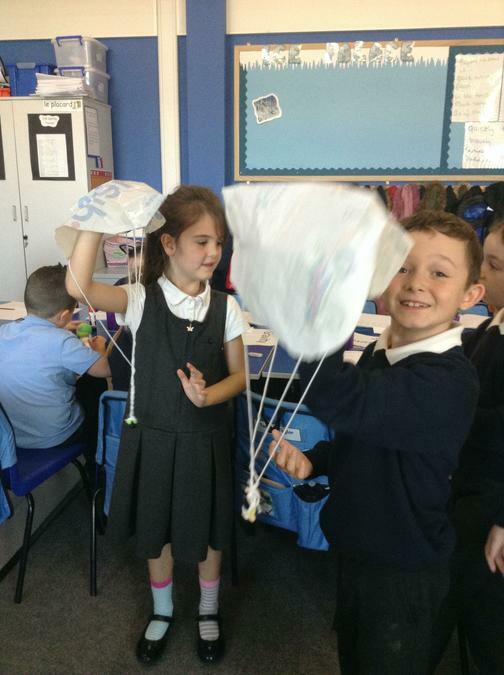 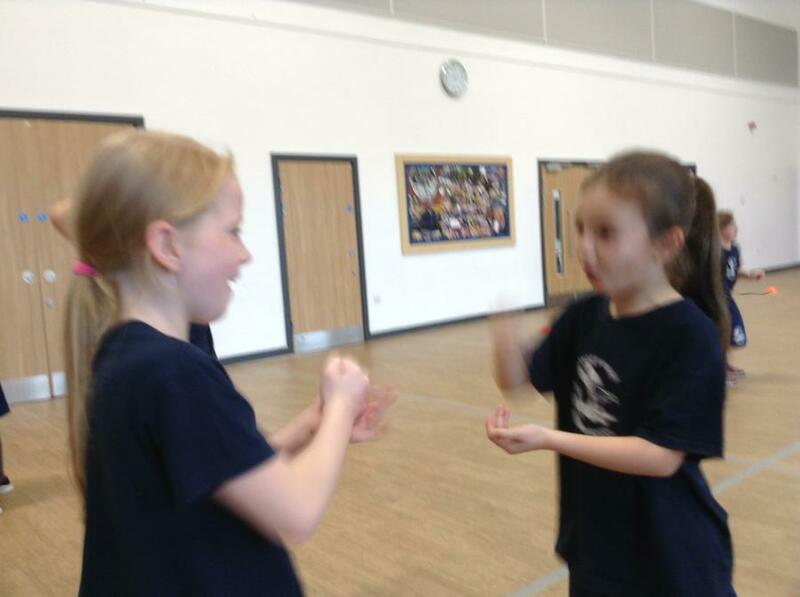 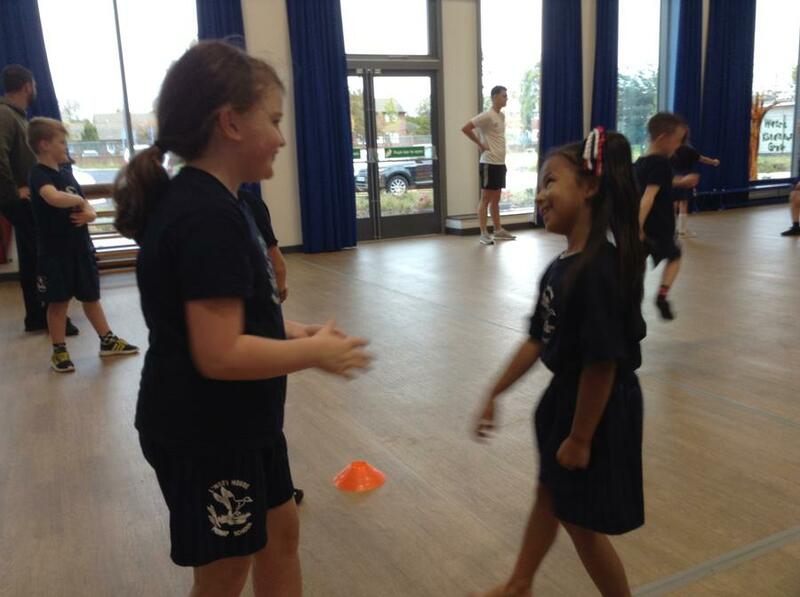 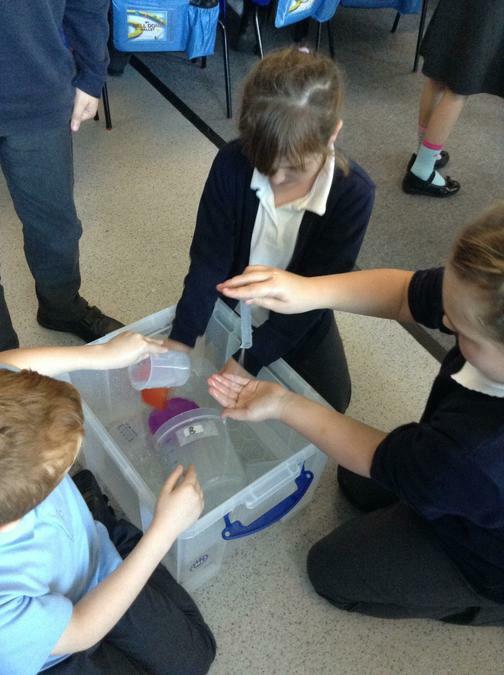 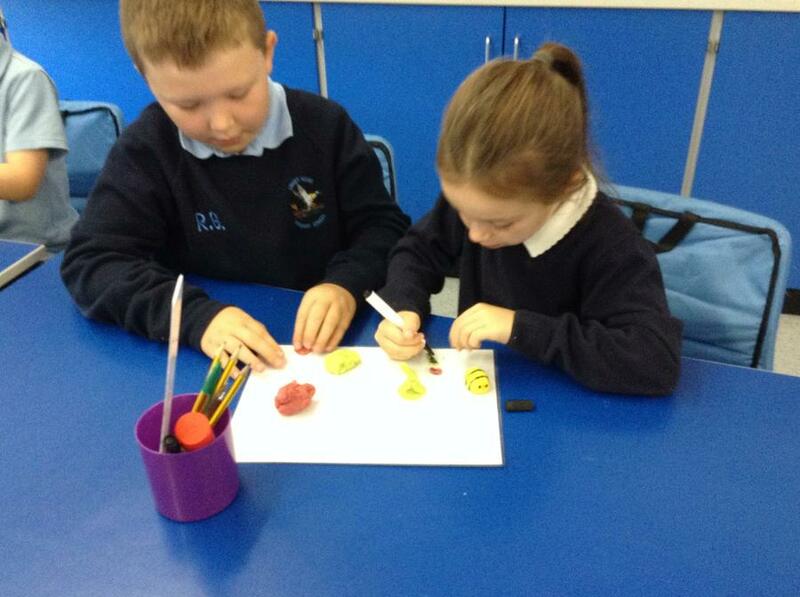 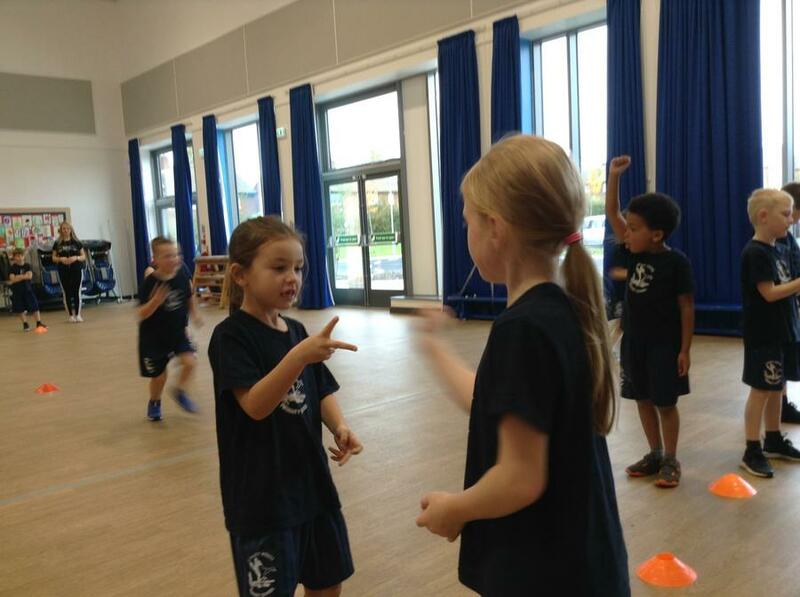 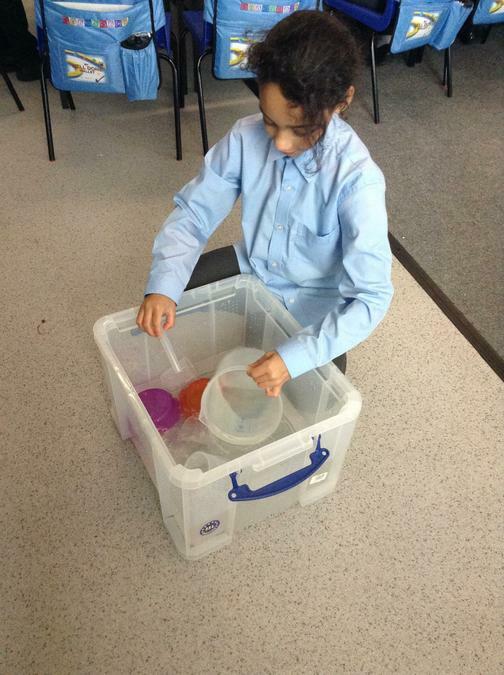 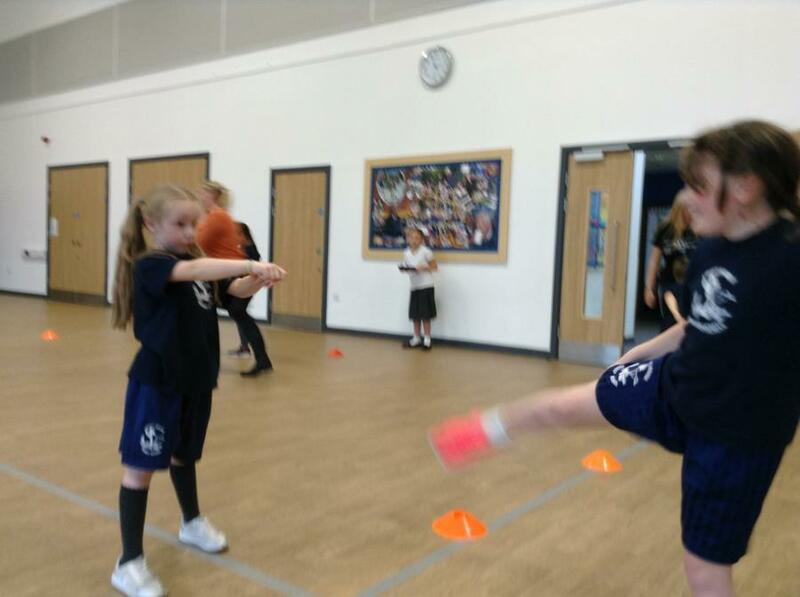 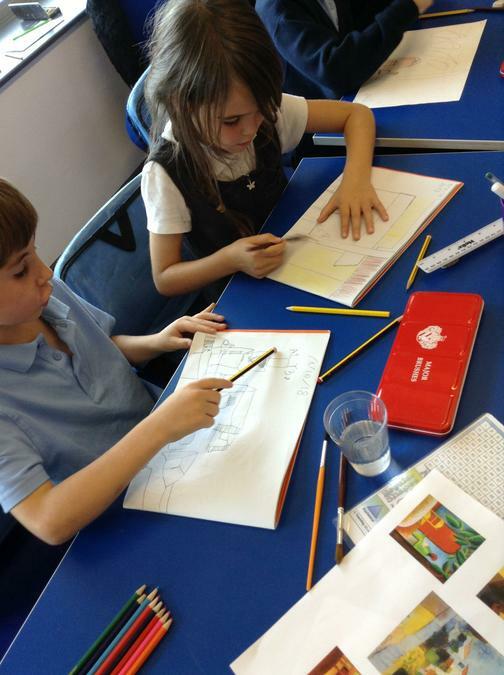 Children have settled very well into their new class and are already working incredibly hard. 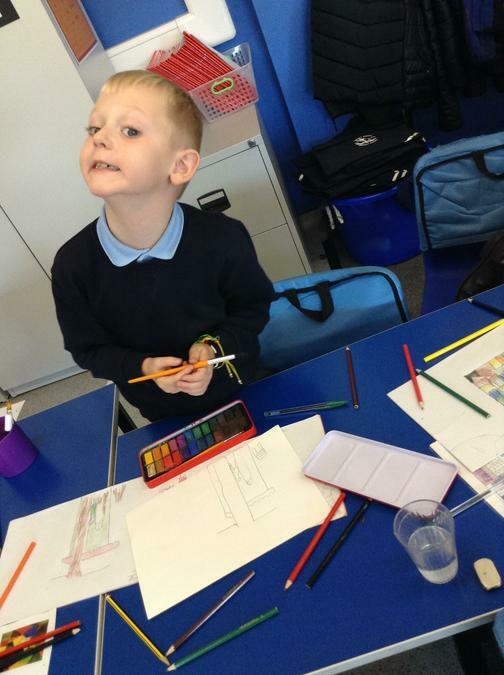 Please come and visit our page regularly to see what fun things we have been up to. 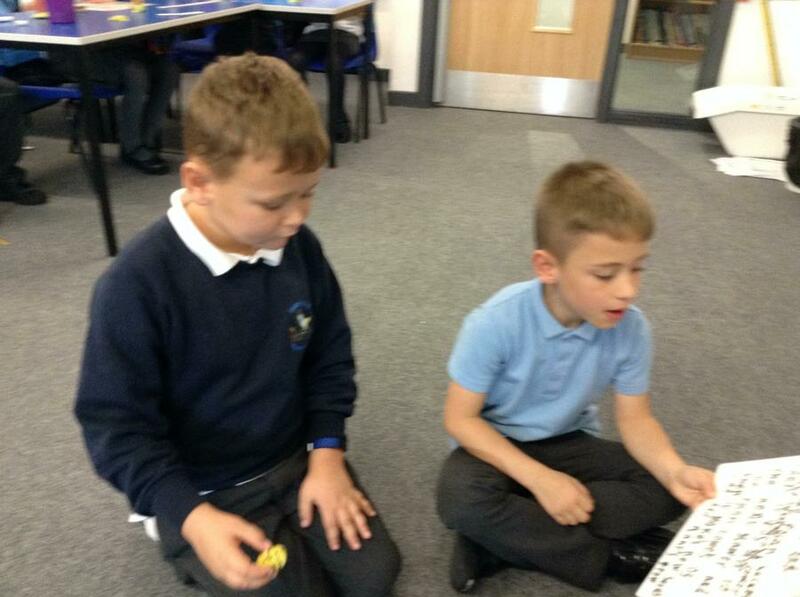 I have found some fun times table games for you to try at home, even 5 minutes a day can make a massive difference. 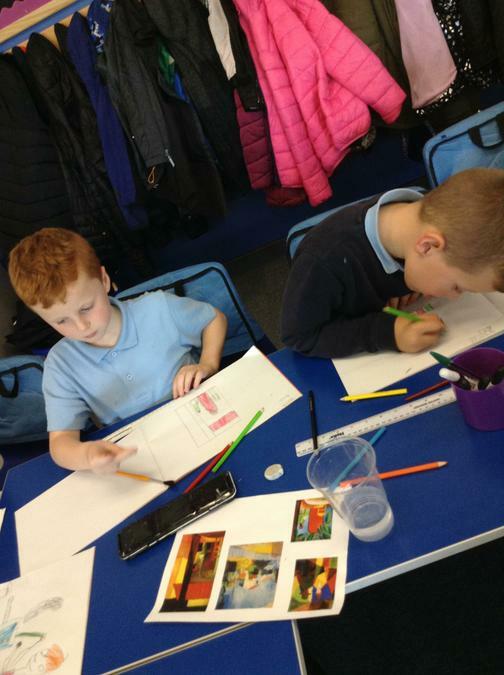 We are trying to secure multiplication and division facts for the 2, 5 and 10 times tables in addition to working on 3, 4 and 8 times tables. 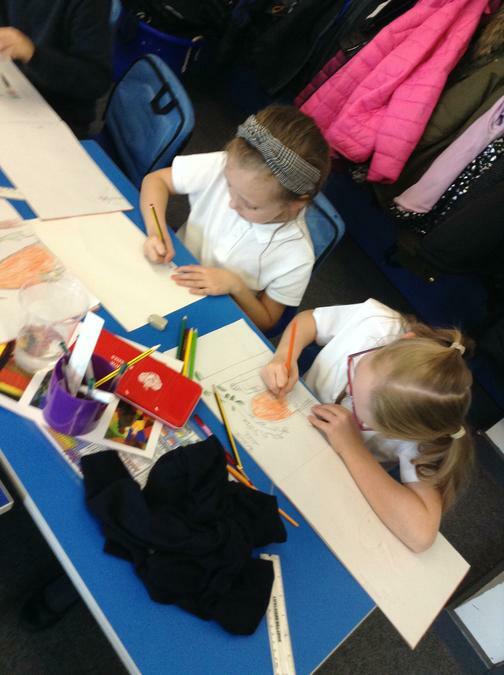 This half term we are learning about the time period of the Stone Age through to the Iron Age, though writing, art and DT. 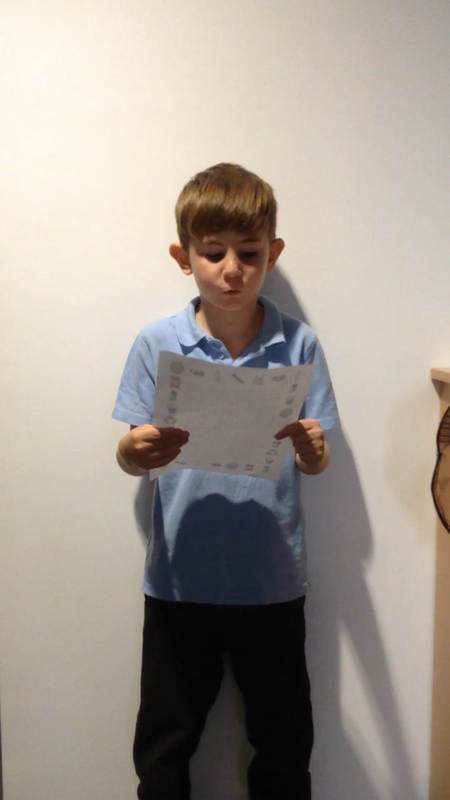 I have attached links to videos and pages below to help you learn about these more. 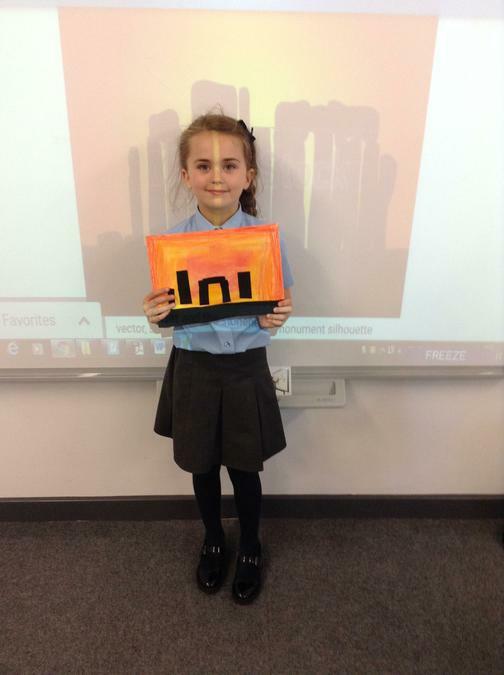 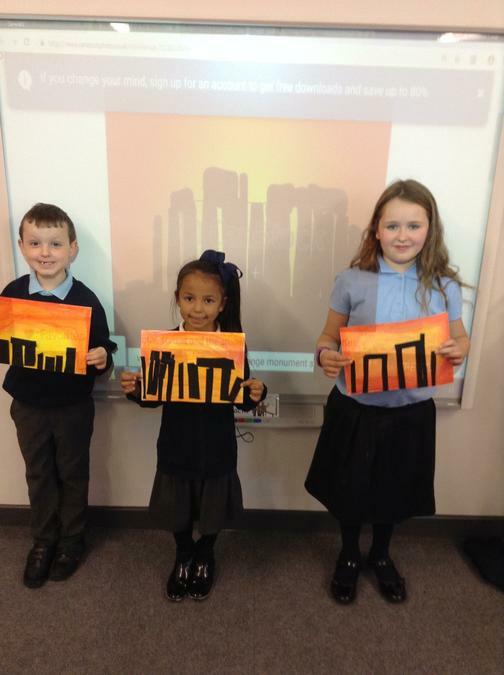 As part of topic learning about the Stone Age we have been creating silhouettes based on Stonehenge. 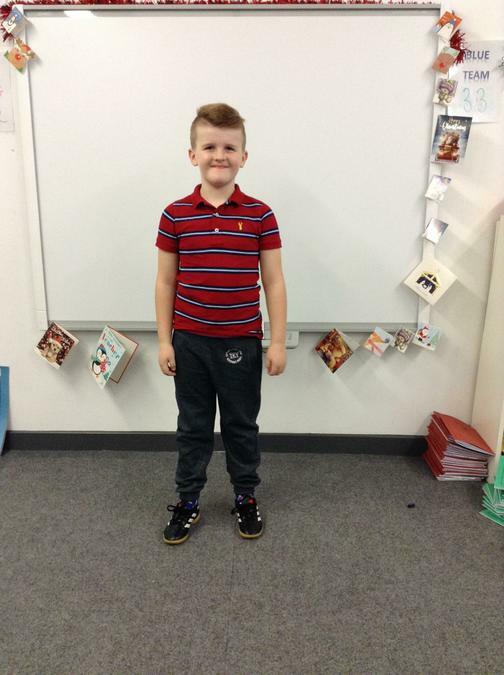 Take a look at the pictures below to see some of the amazing results! 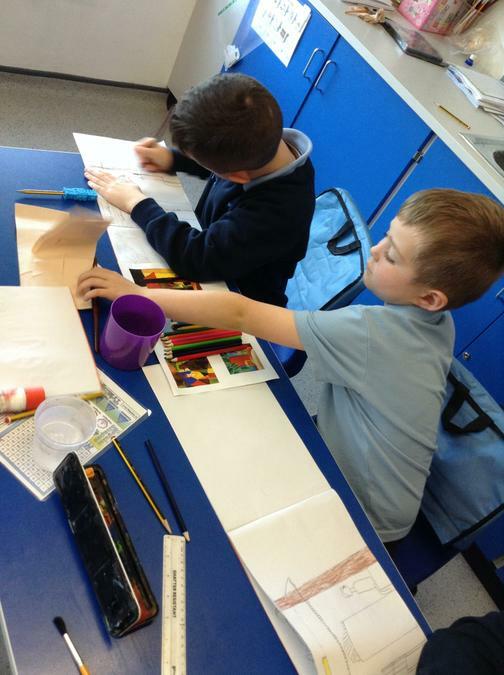 Year 3 enjoyed watching Newsround, where we watched a story about BTS, one of the most popular boybands in the world! 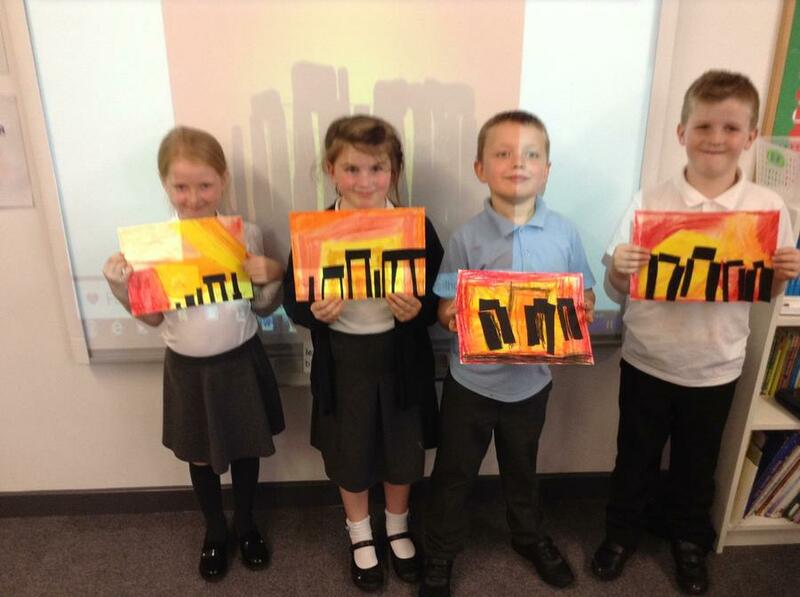 If you haven't heard of them, they are from South Korea. 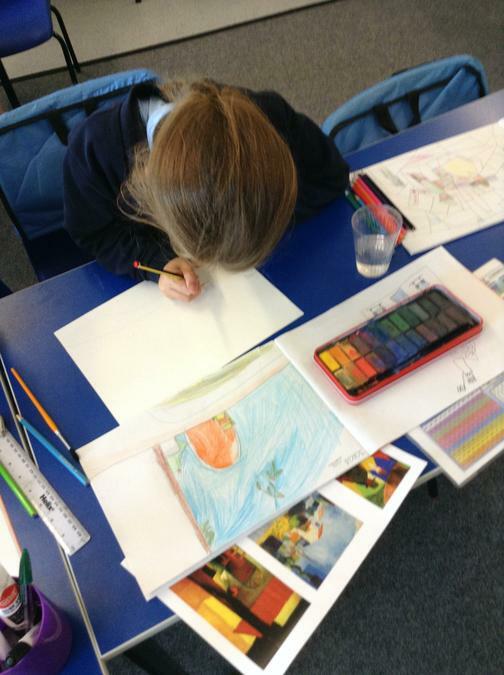 We looked on a map to see how far South Korea is from the UK - it is on the other side of the world! 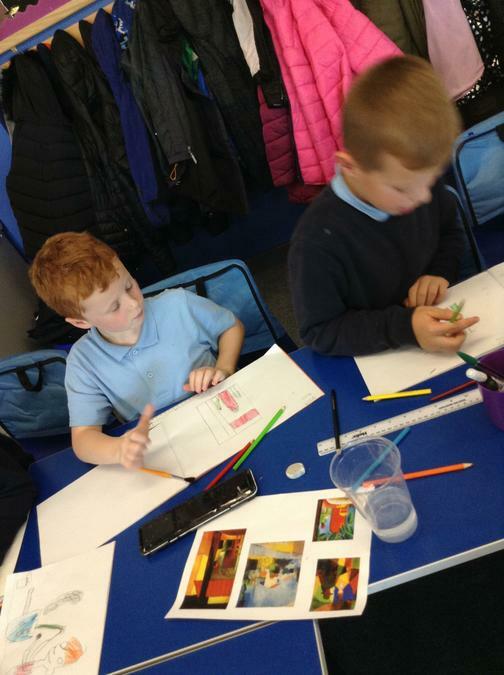 The feature compared BTS to The Beatles, a British band from the Sixties who were also famous around the world. 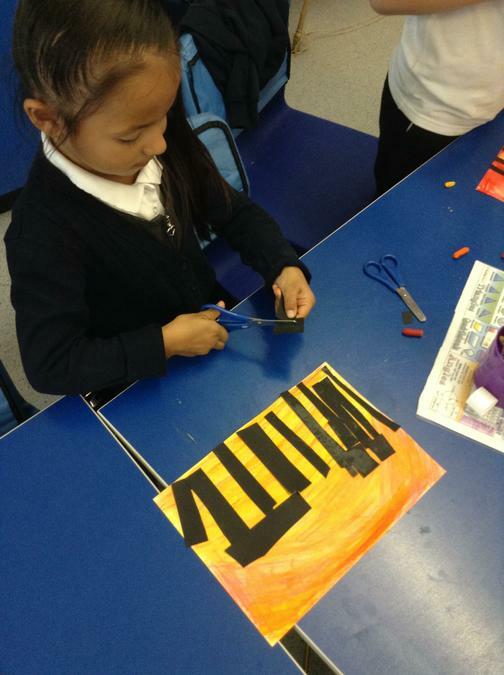 Because BTS are from Korea, the type of music they play is called K-Pop. 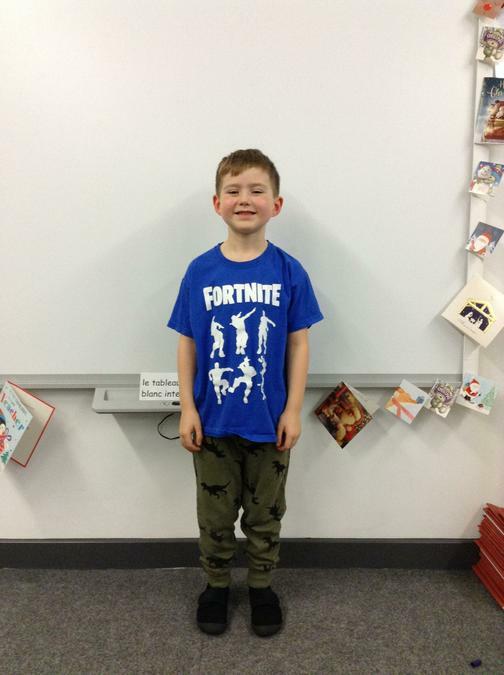 Other famous K-Pop bands include Monsta X and Bigbang. 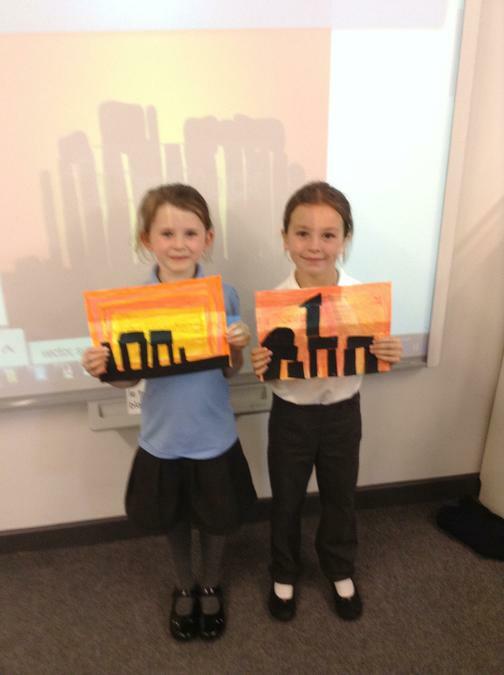 This half term the topic we will be looking at will be the ancient Romans. 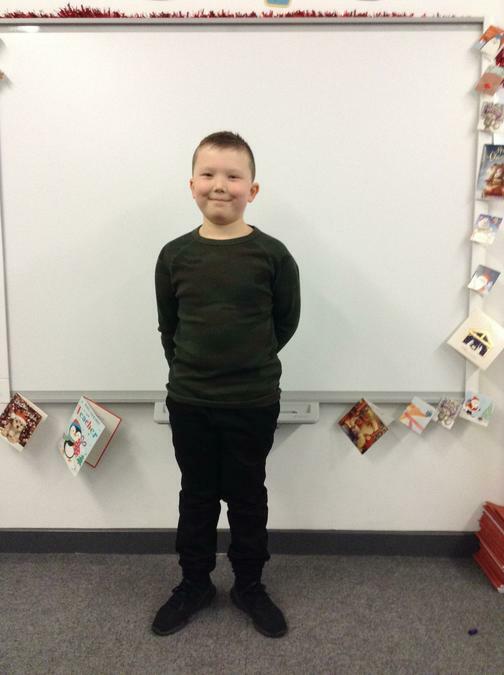 We will look at how their army was formed, their invasion attempts of Britain and how they have changed the way that we life our lives now. 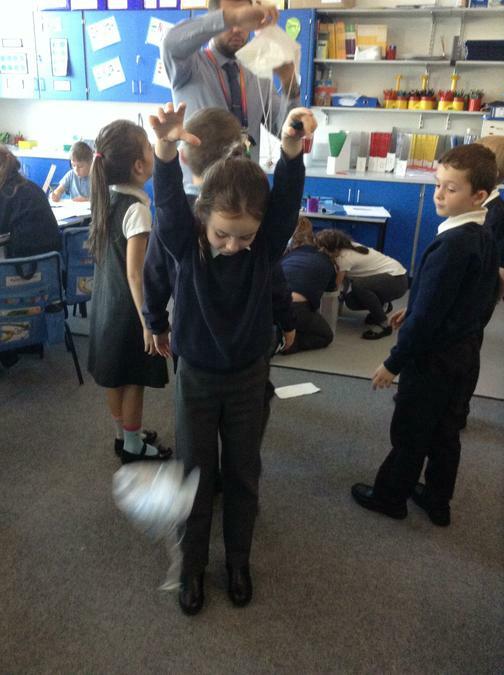 As part of the Roman topic we received a fantastic visit from That History Bloke! 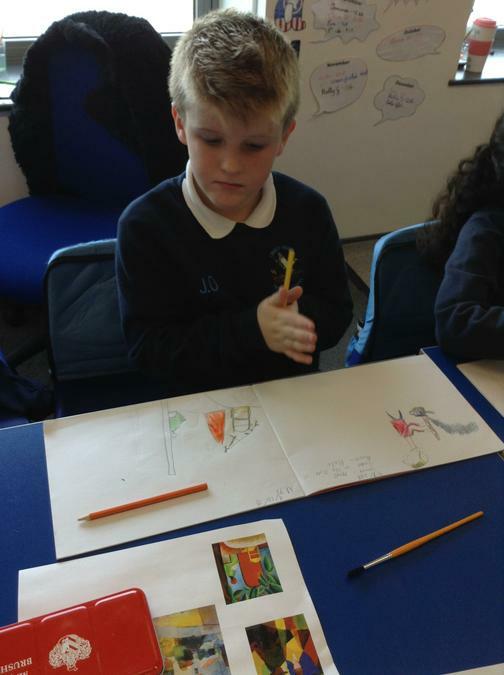 Its was a fun filled afternoon that allowed us to explore the Roman Army, the weapons and armour that they used and a range of Roman artefacts and clothes. 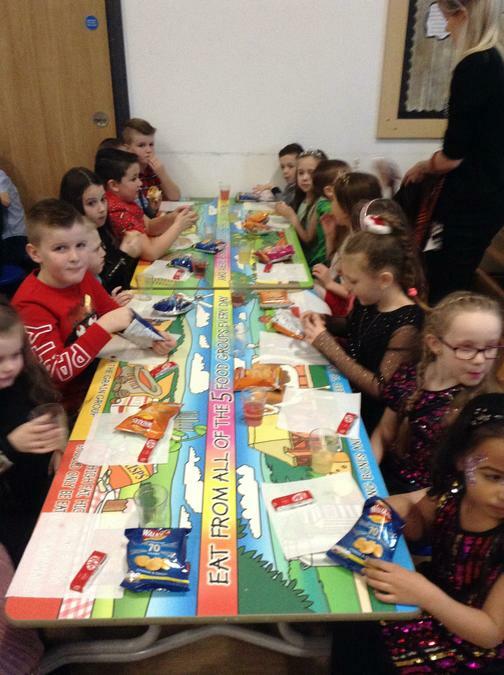 We all agreed that it was a super fun afternoon! 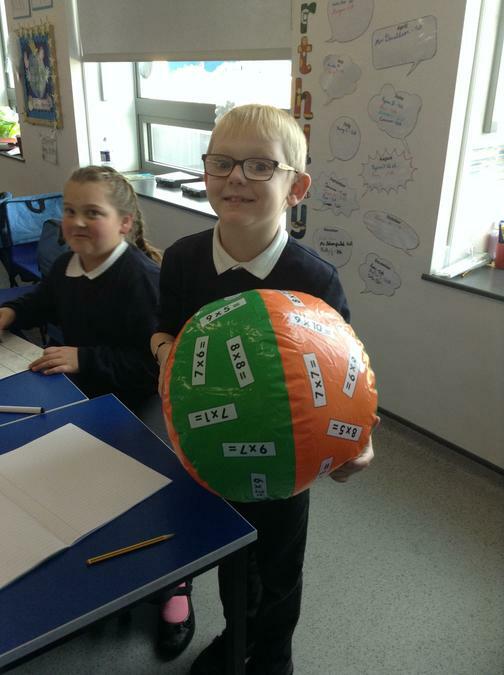 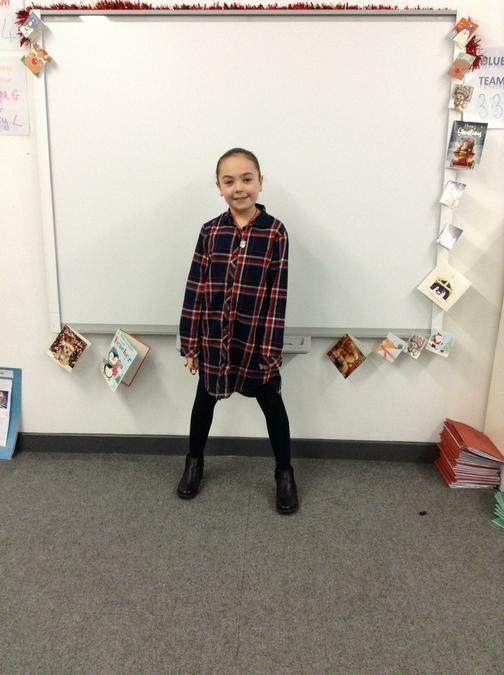 This week we have been writing poetry for national poetry day, this year's theme was change. 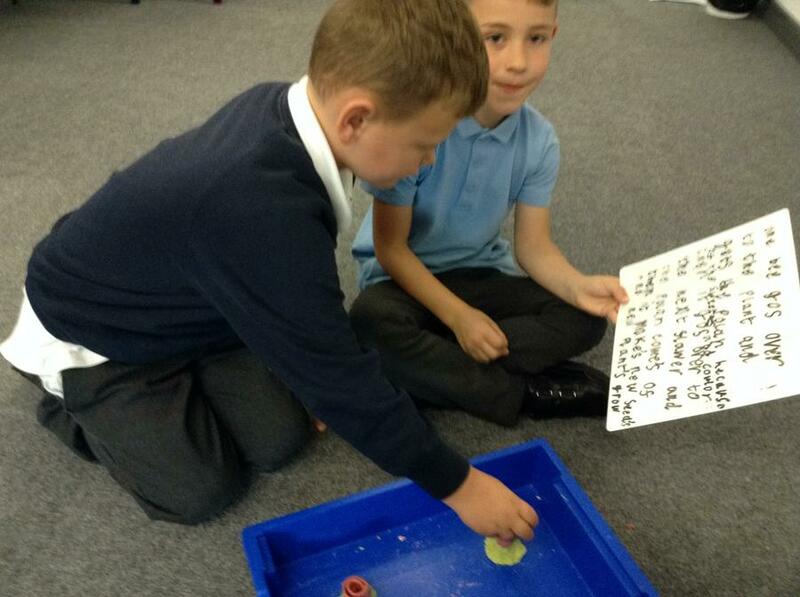 As a class we decided that we would write about how a failure to recycle plastics is causing changes to our beautiful oceans. 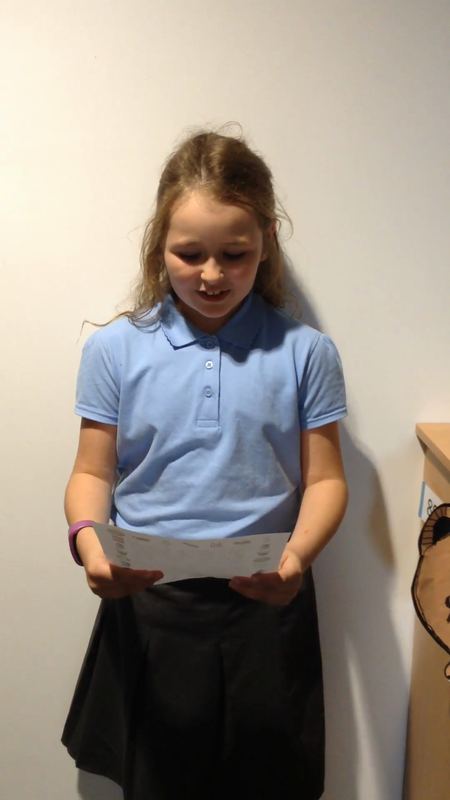 I think you will all agree that the results are pretty amazing! 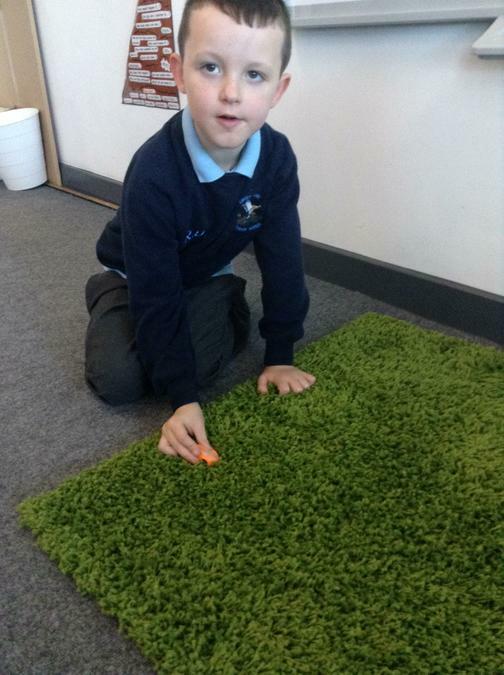 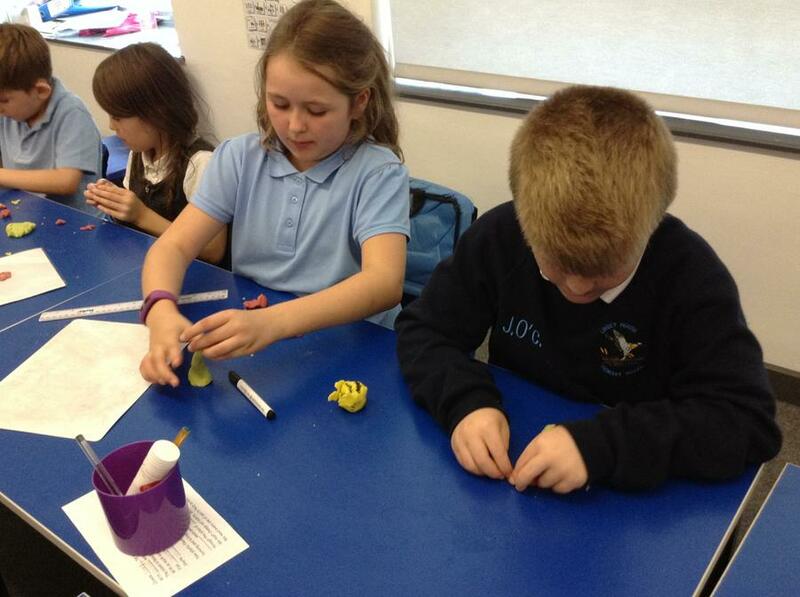 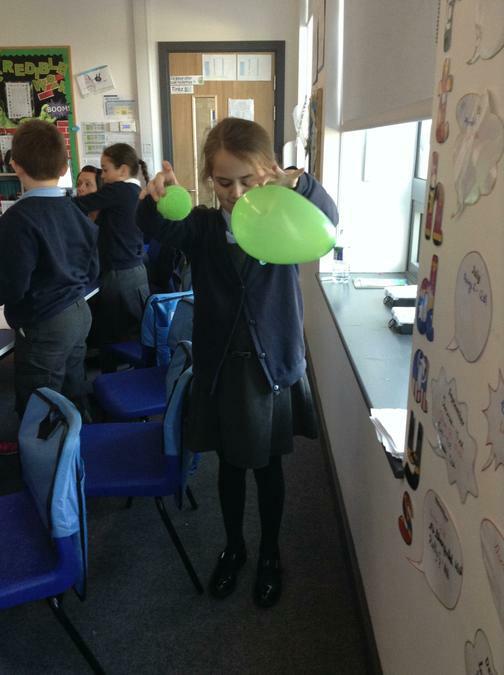 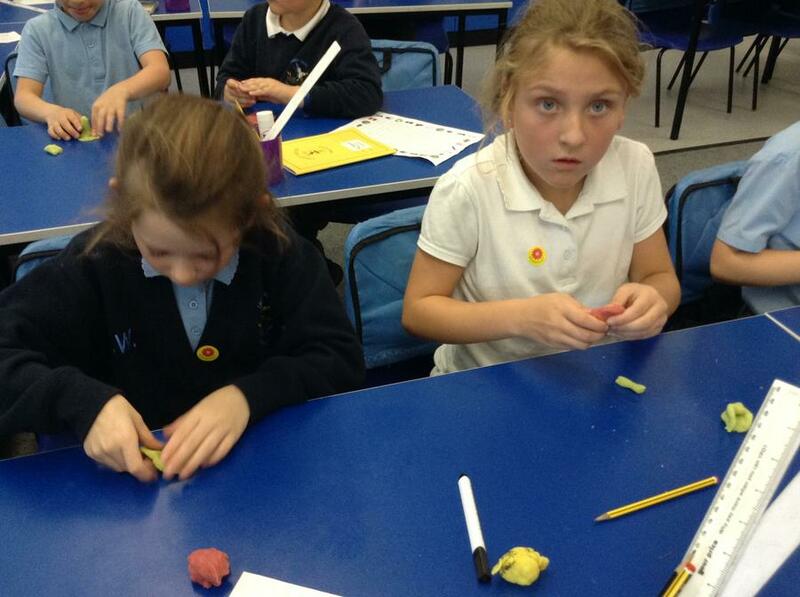 In Science, we have been learning about how bees transport pollen from one plant to another. 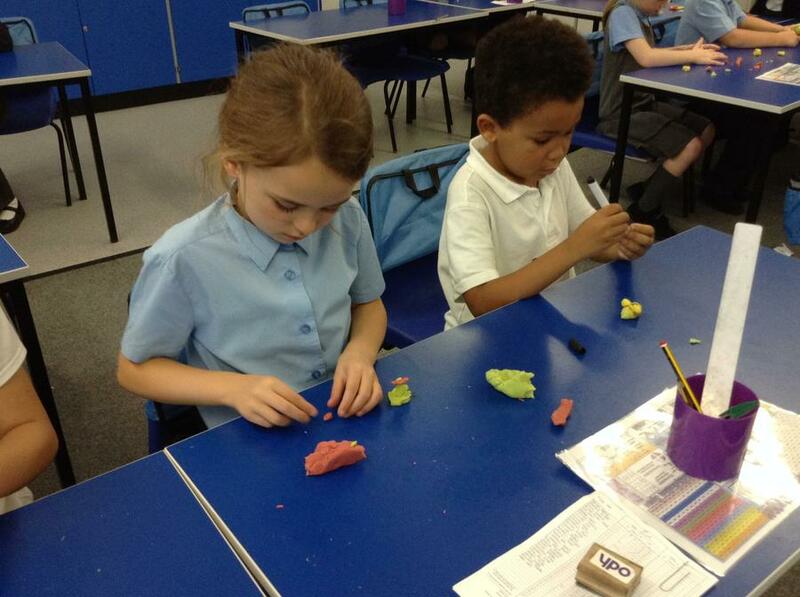 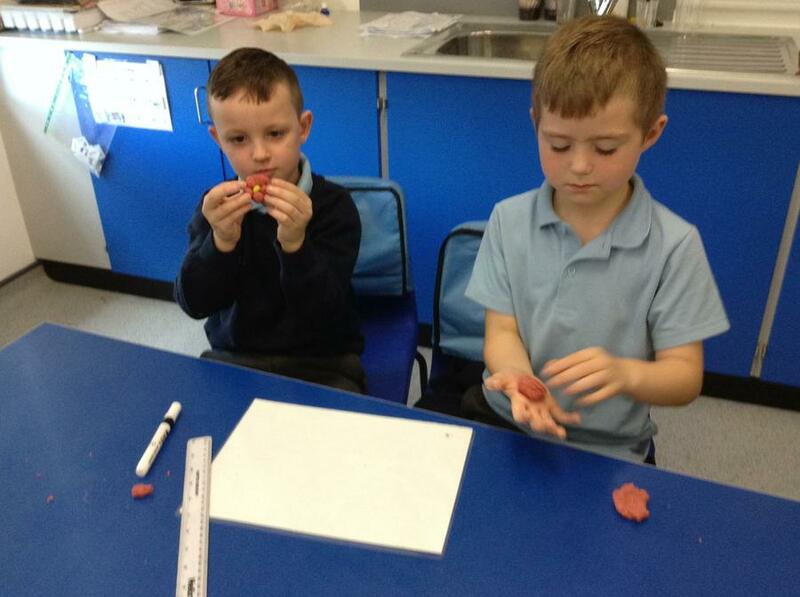 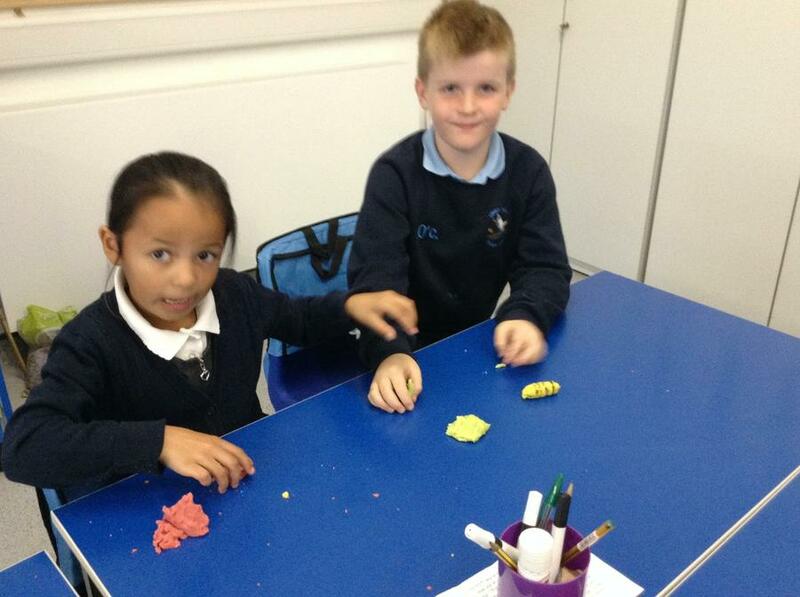 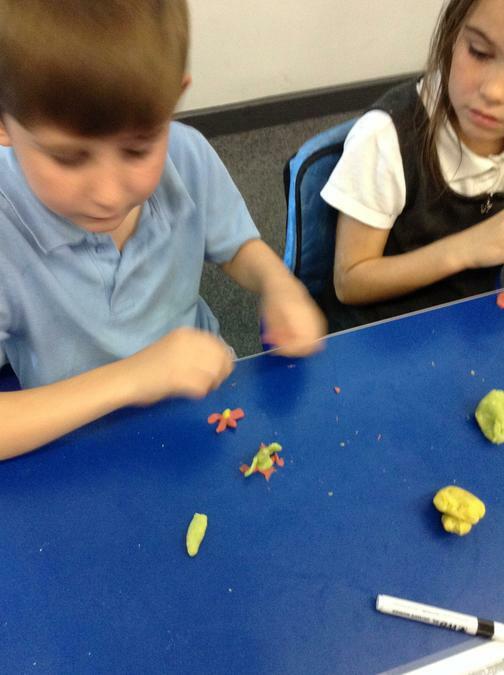 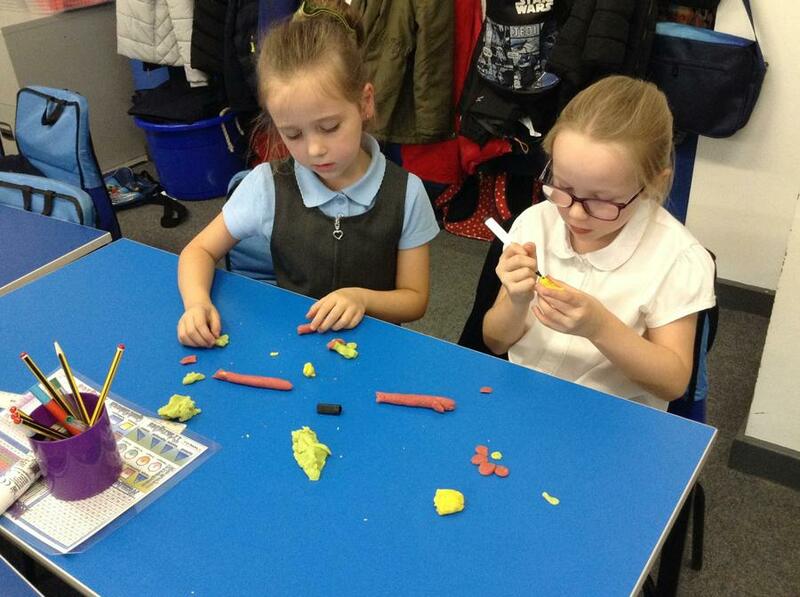 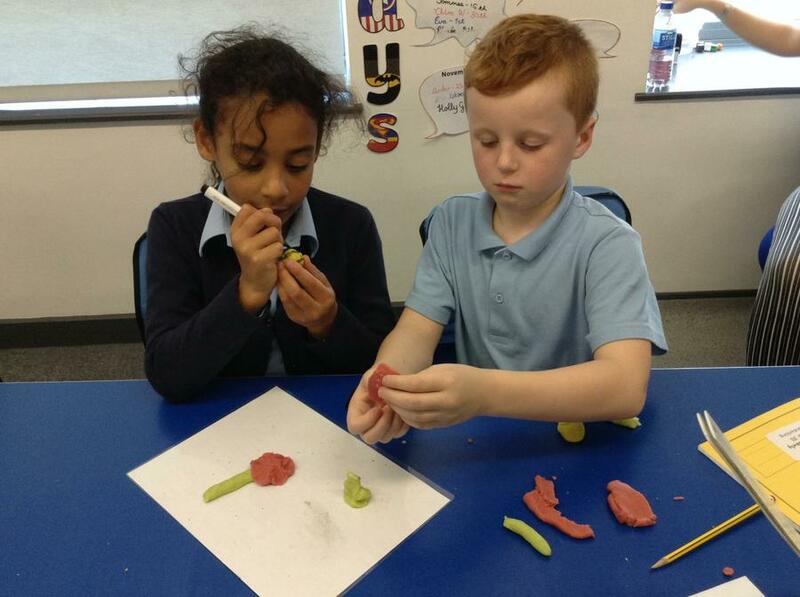 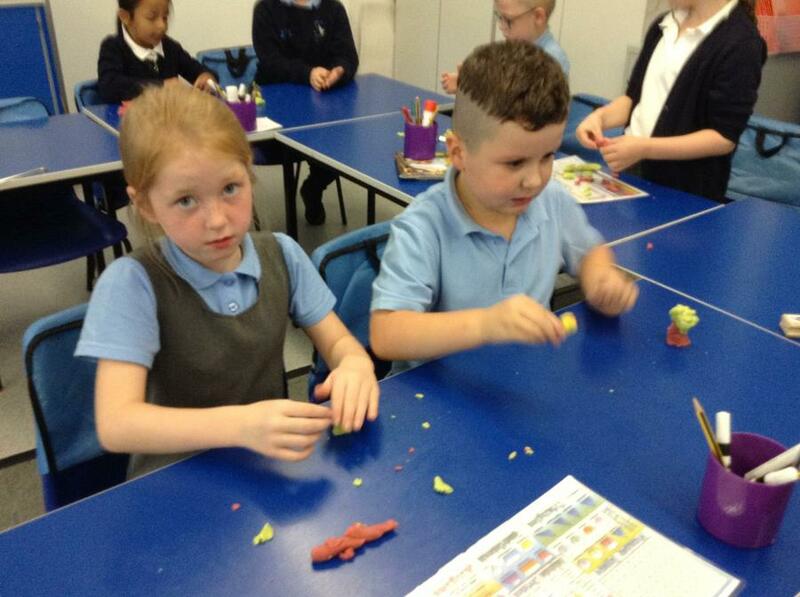 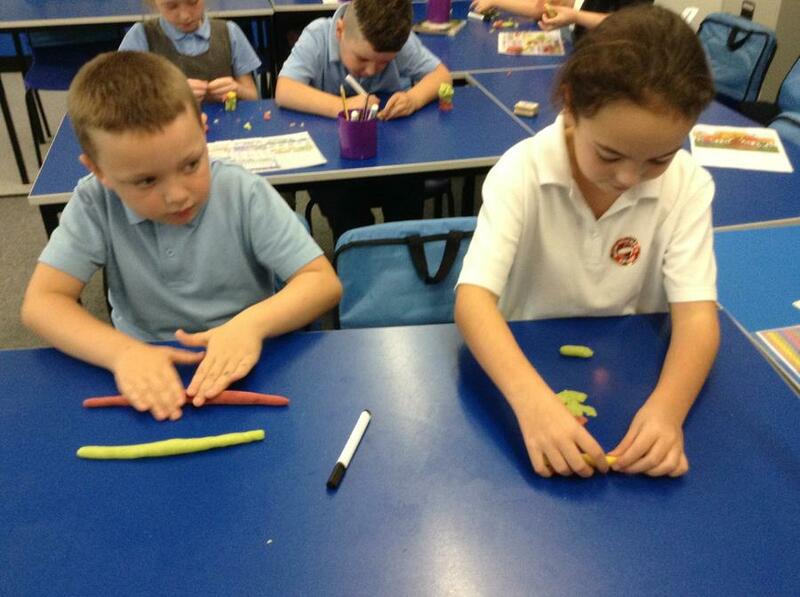 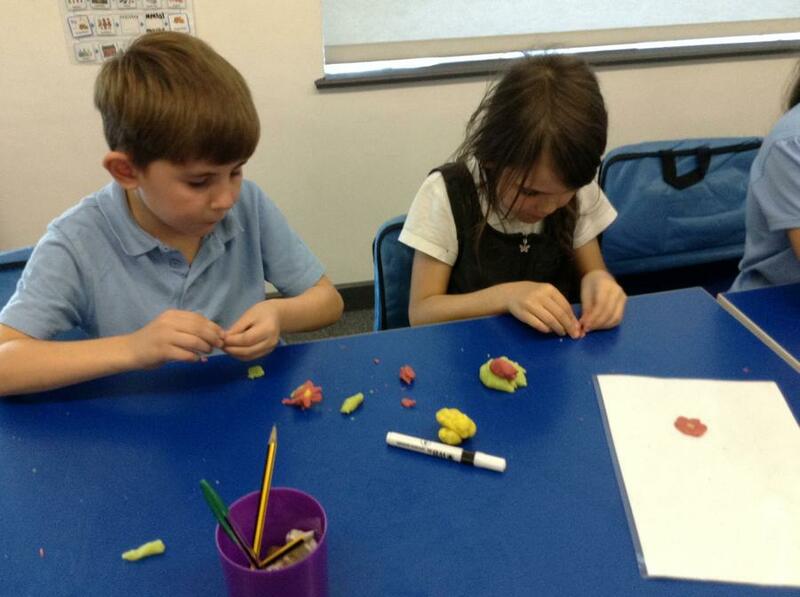 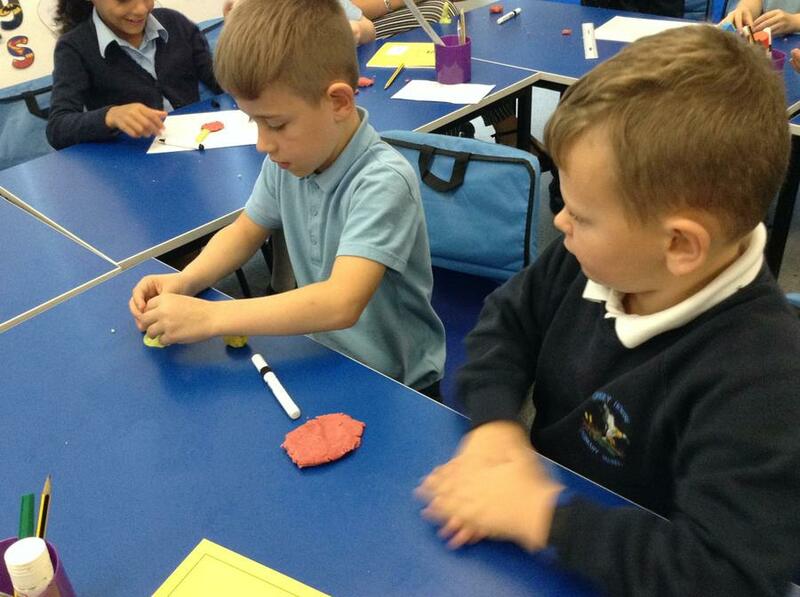 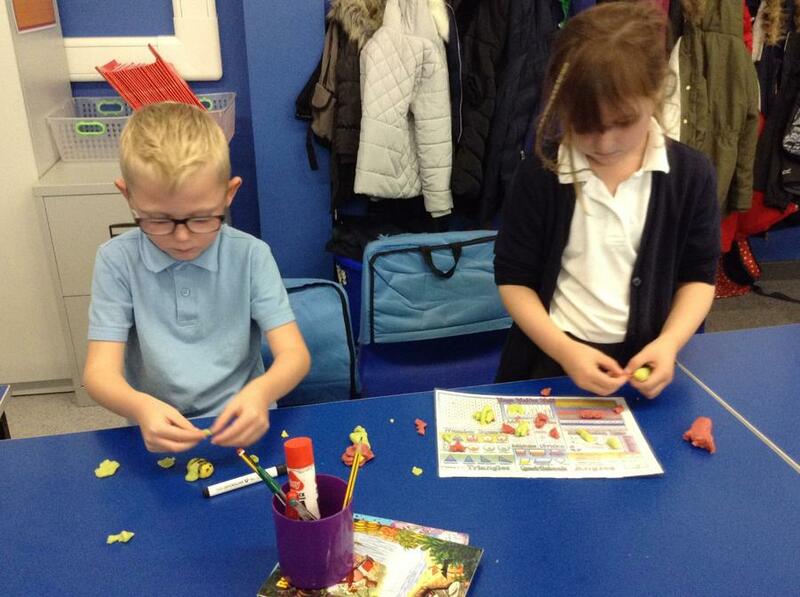 We then created this using play-dough, look at our results! 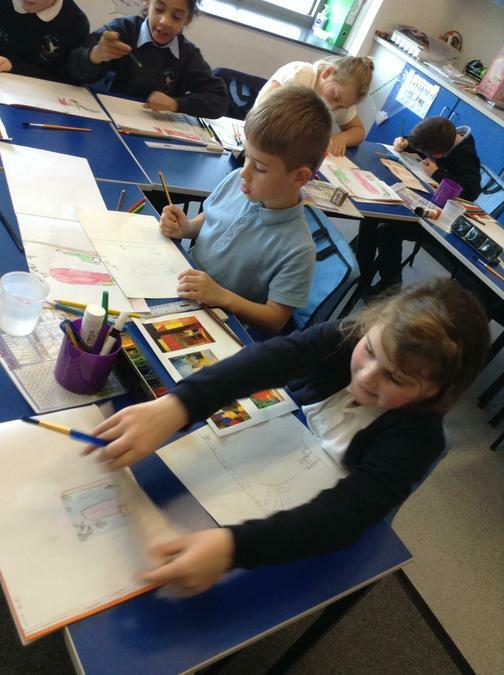 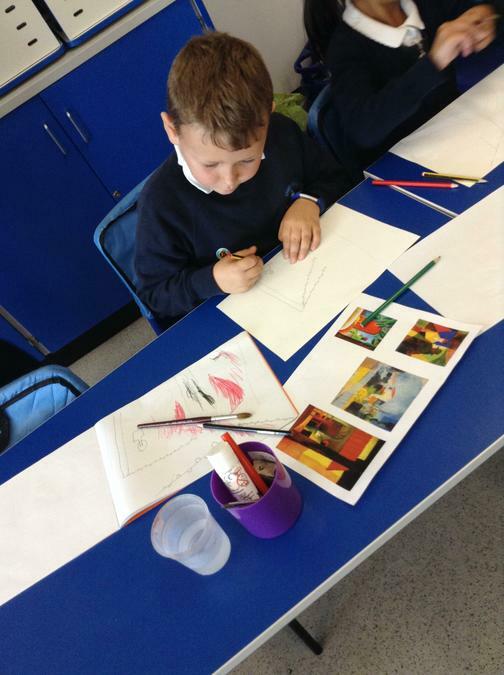 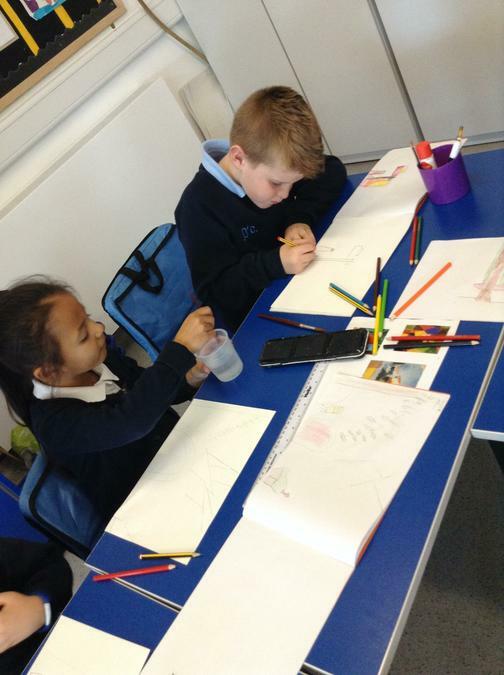 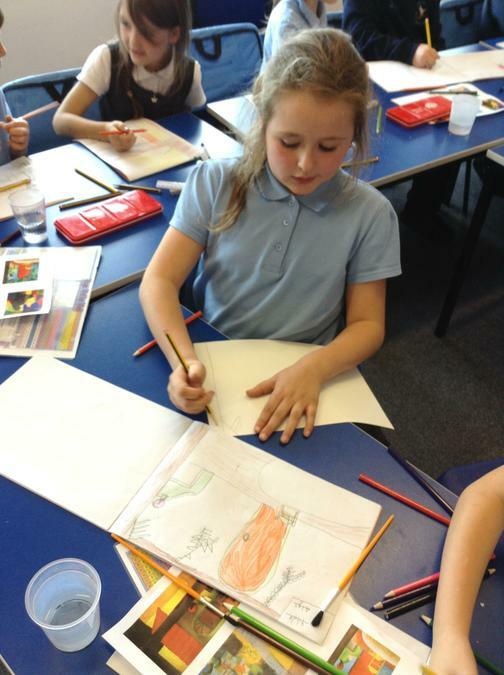 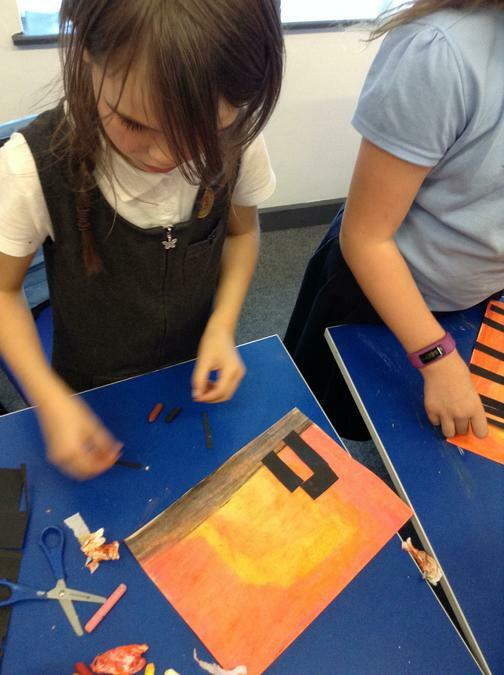 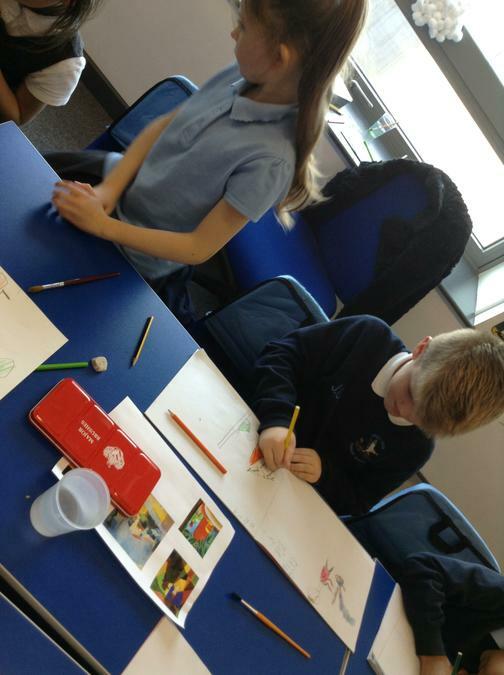 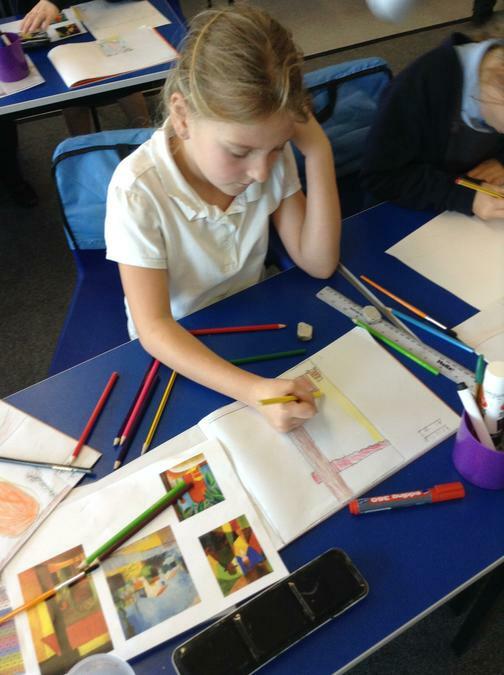 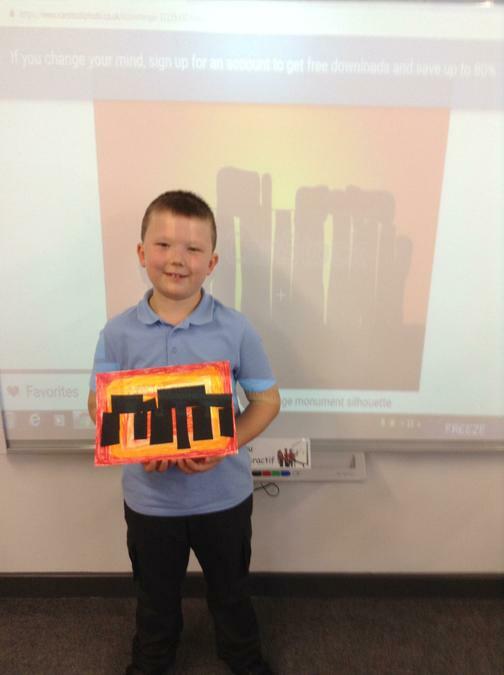 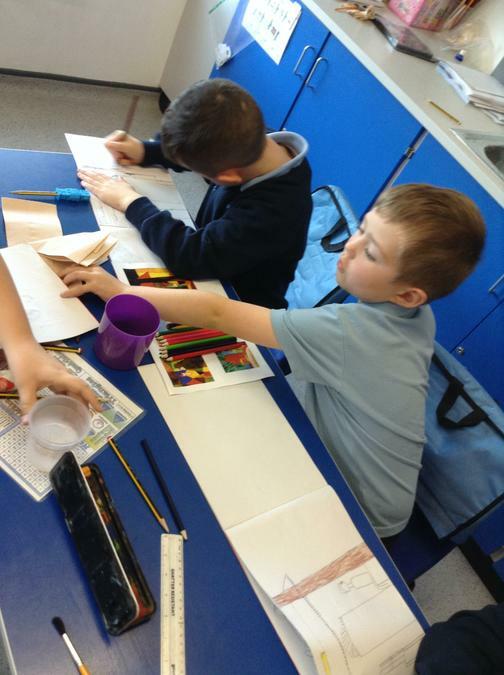 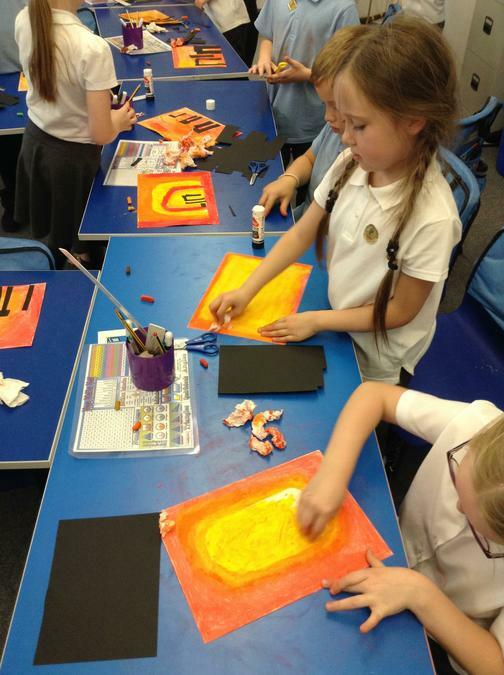 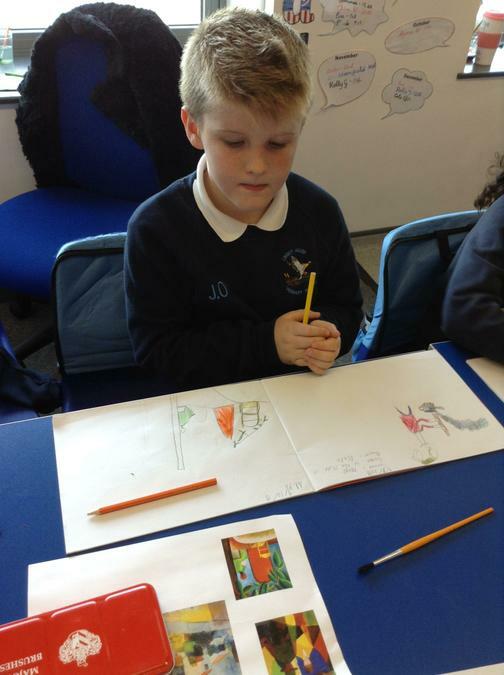 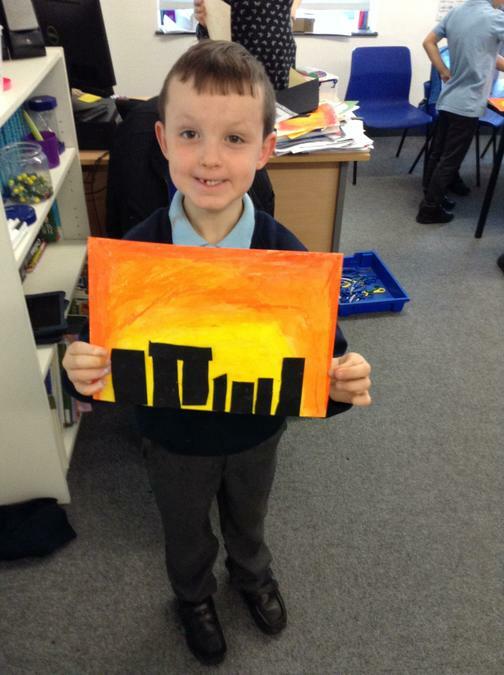 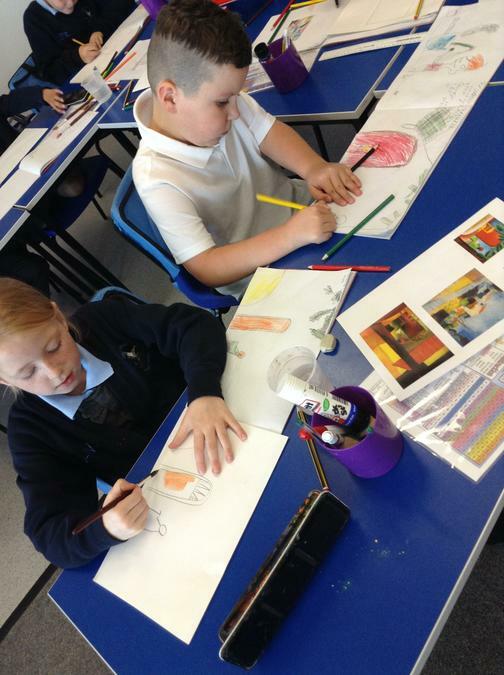 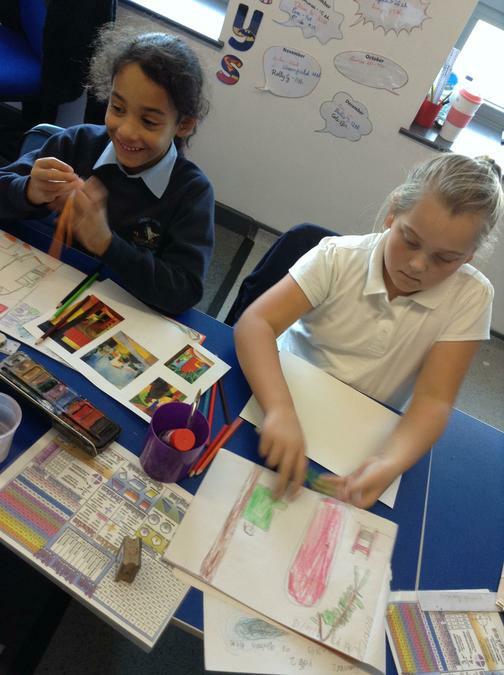 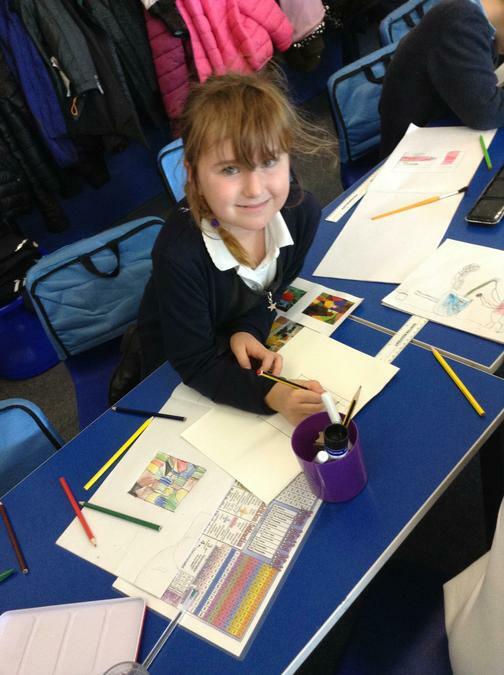 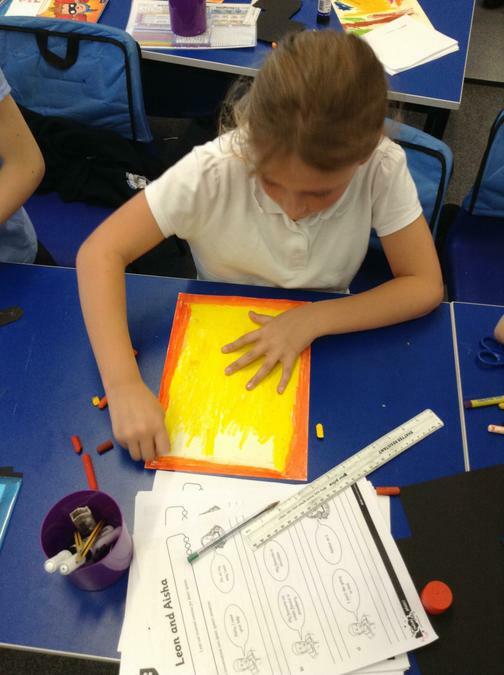 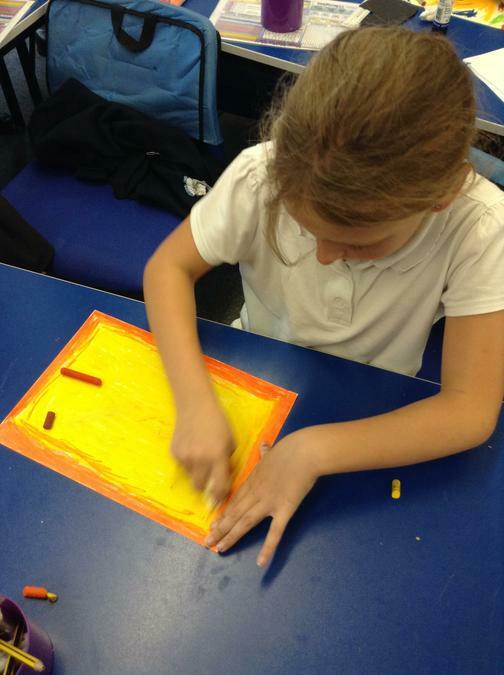 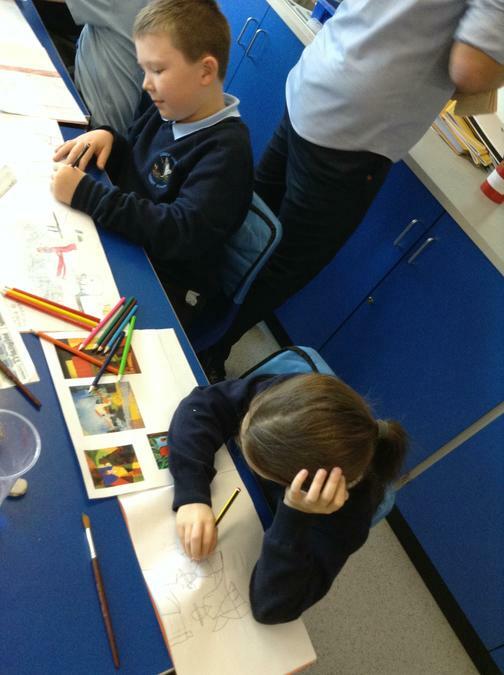 In art we have been learning about the artist August Macke Kairouan and his work. 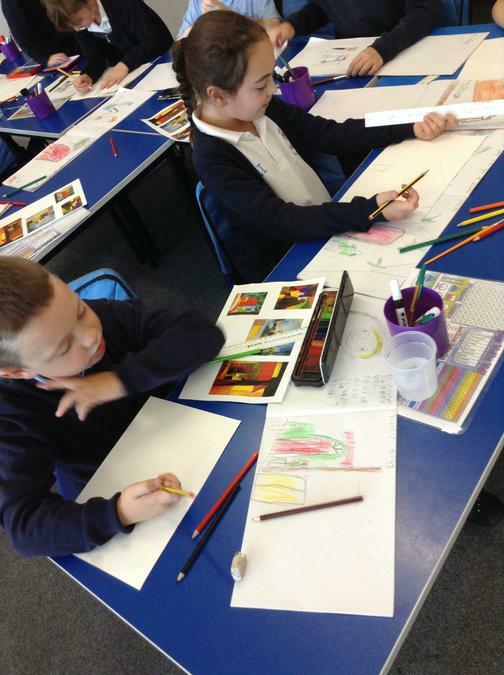 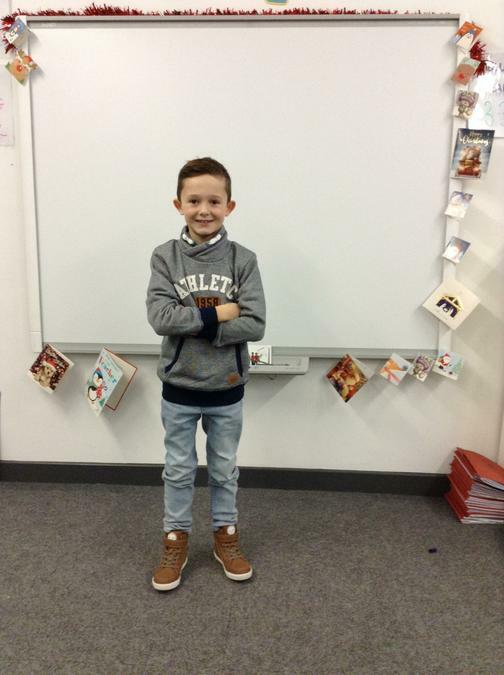 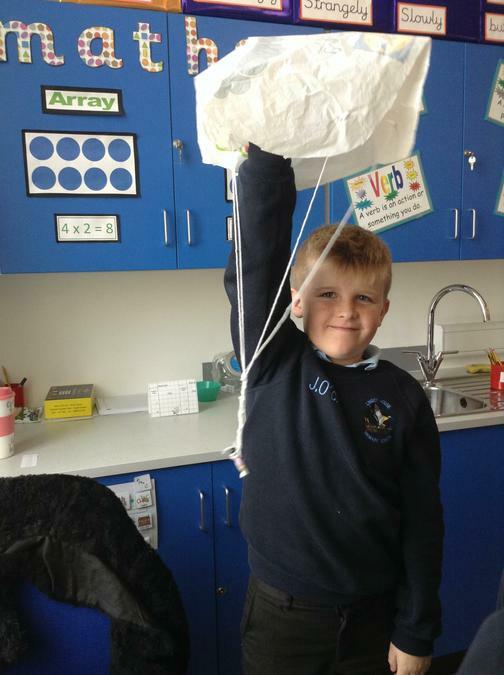 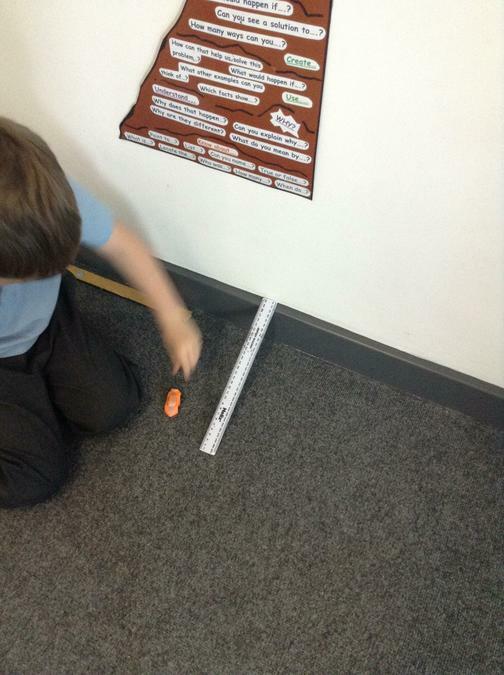 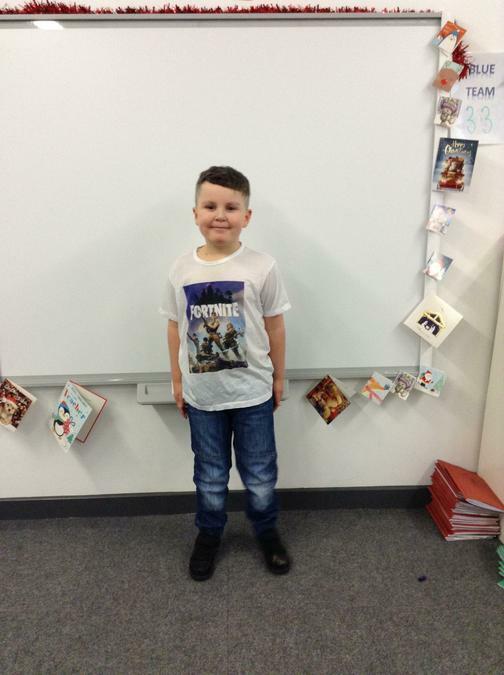 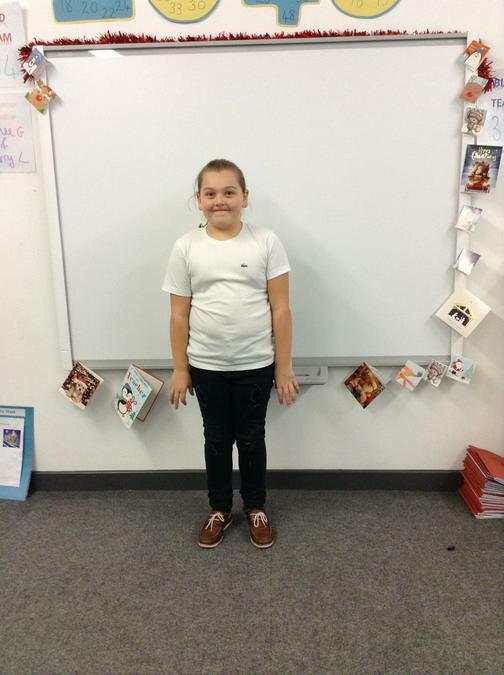 We have created pieces of work in the style of him, have a look at them! 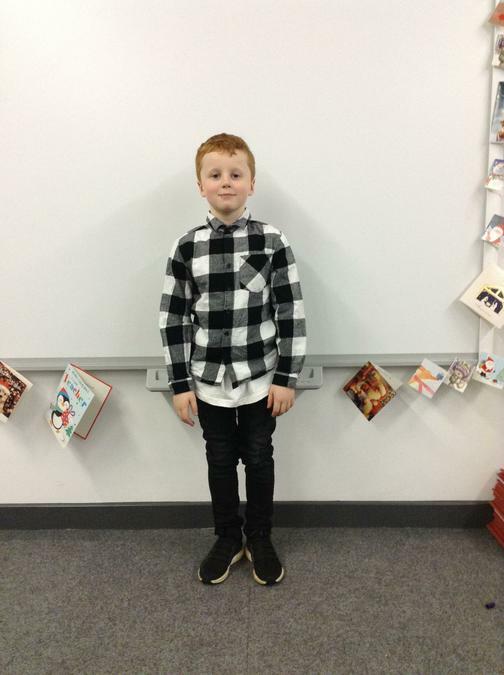 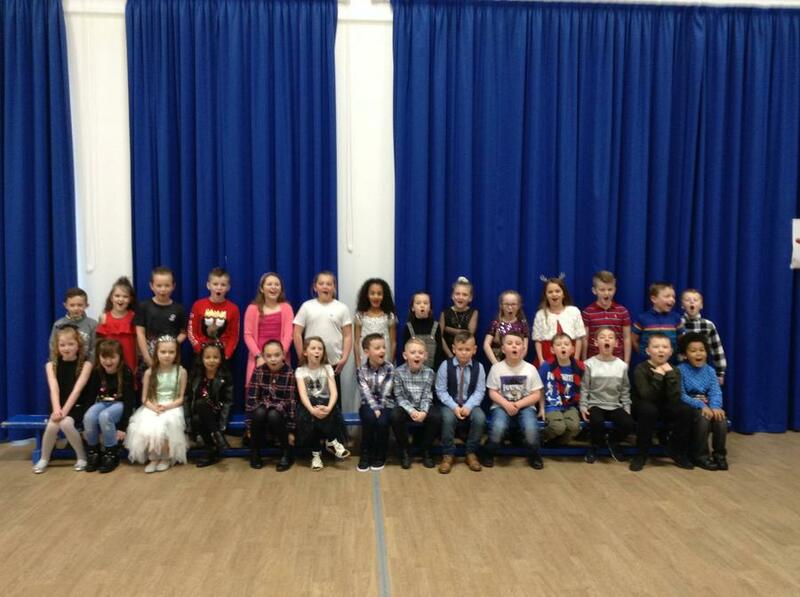 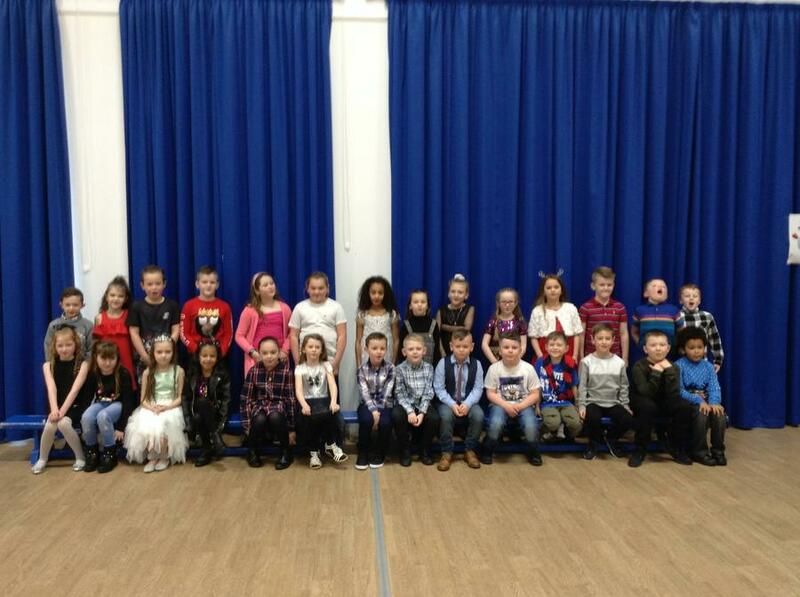 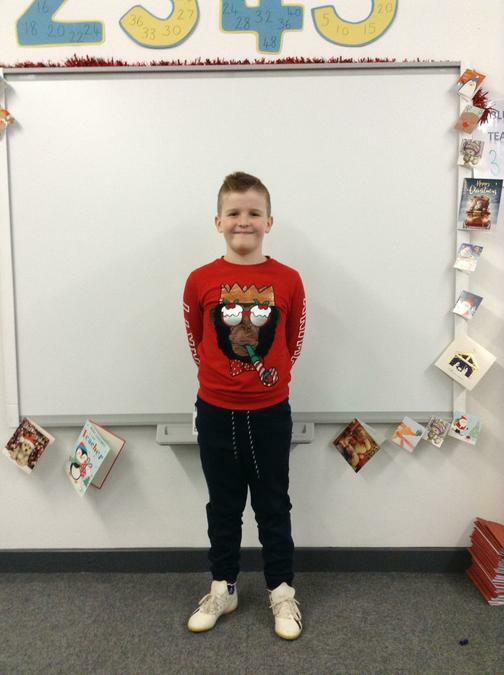 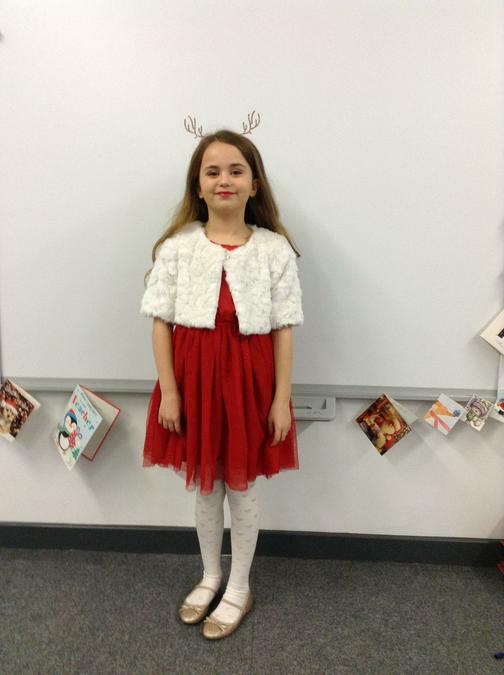 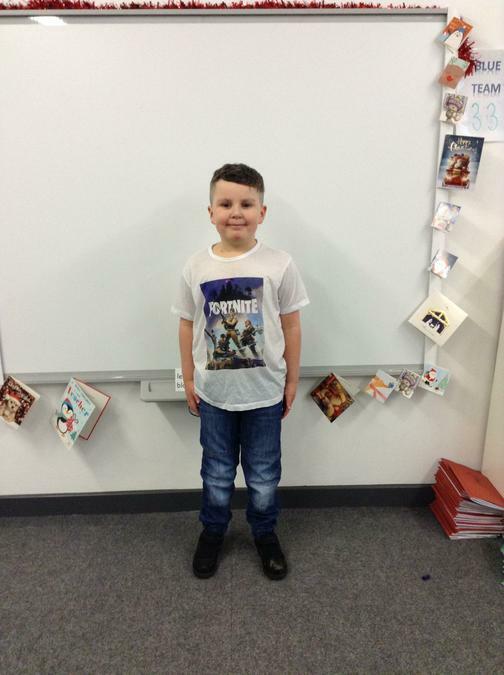 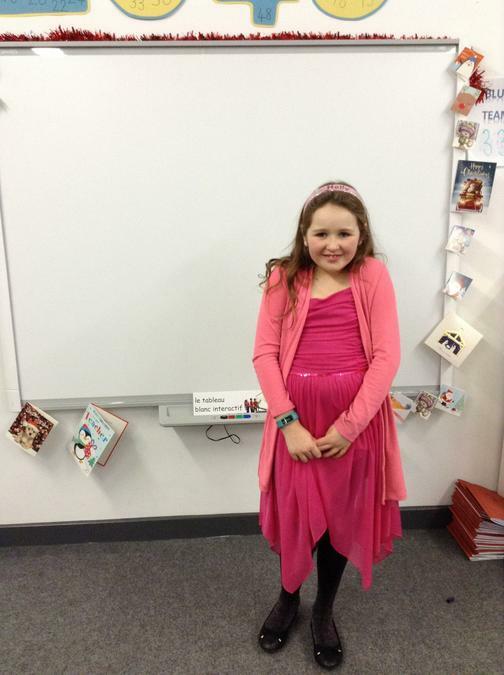 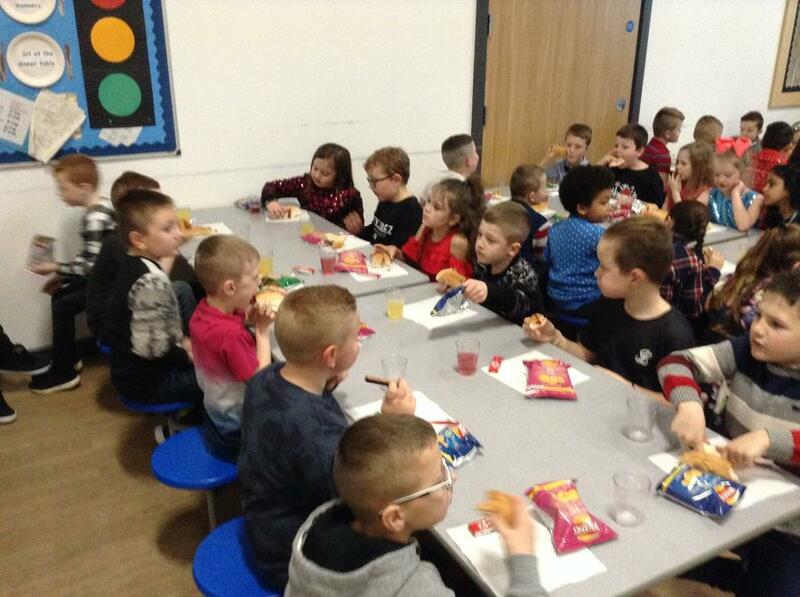 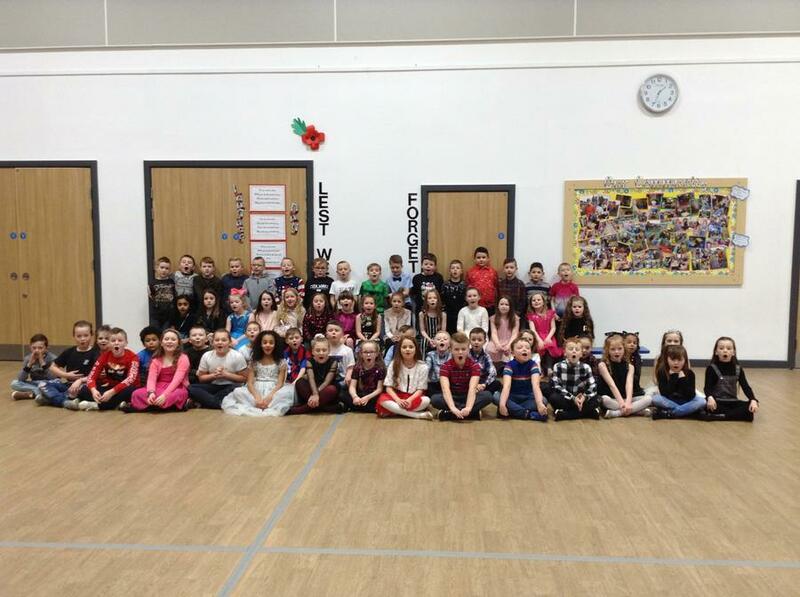 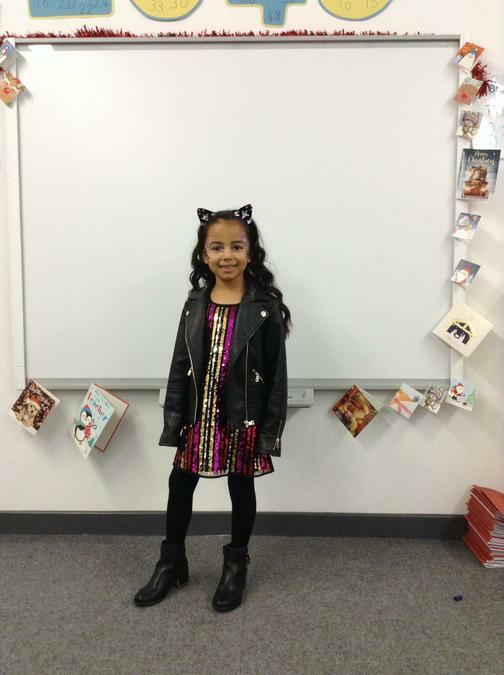 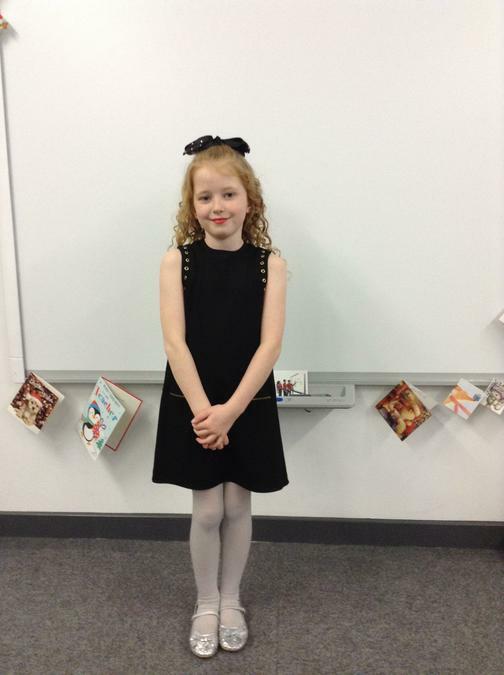 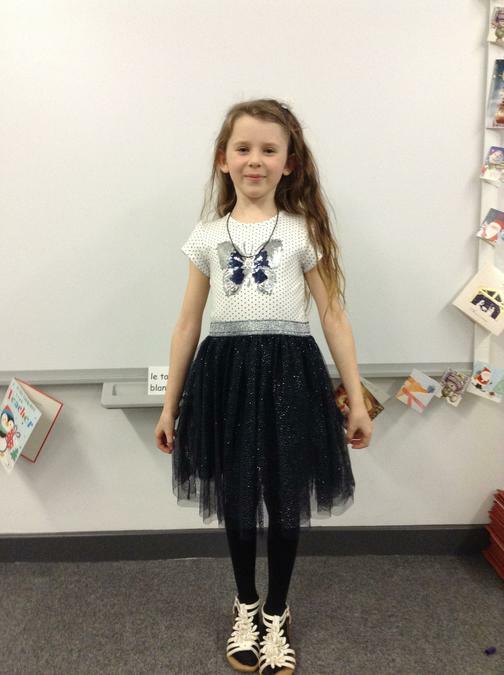 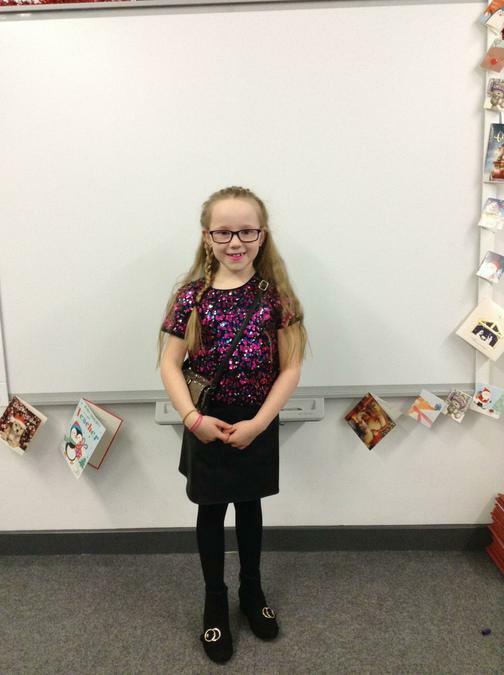 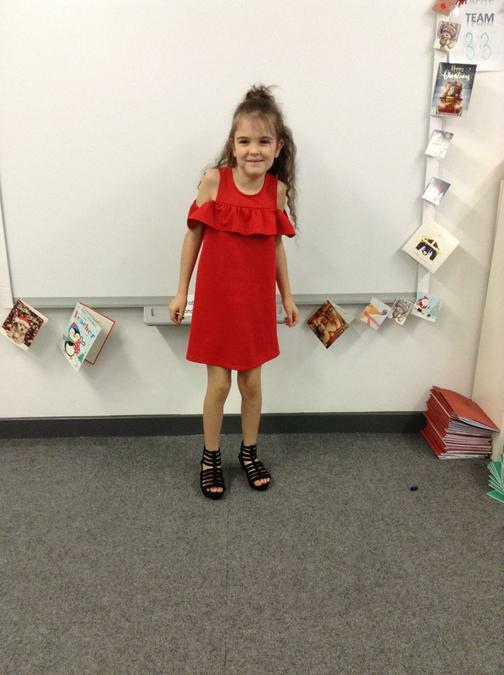 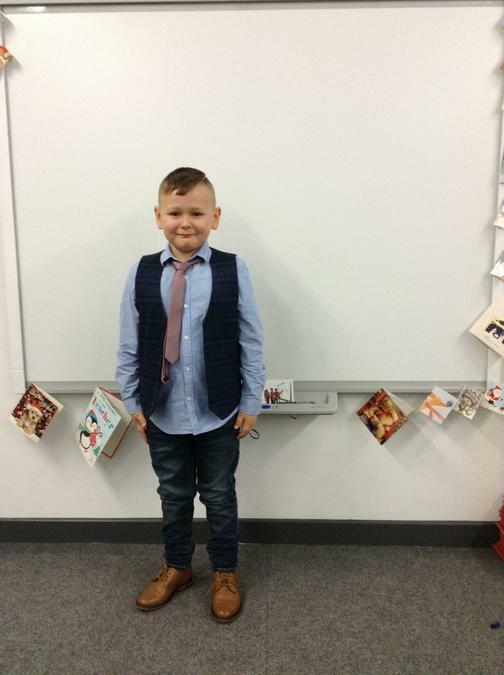 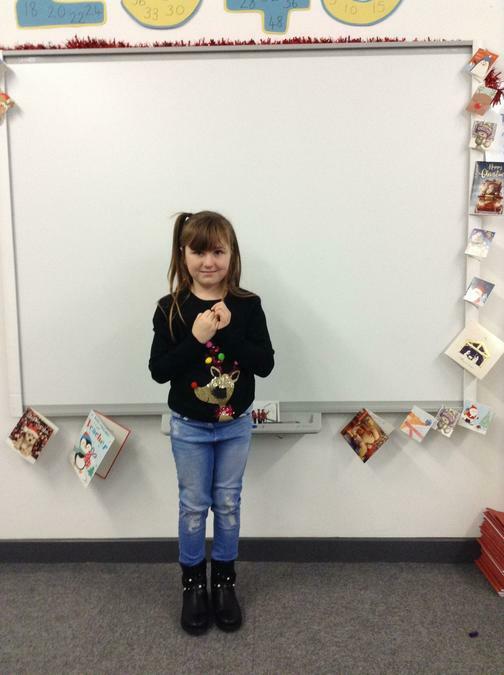 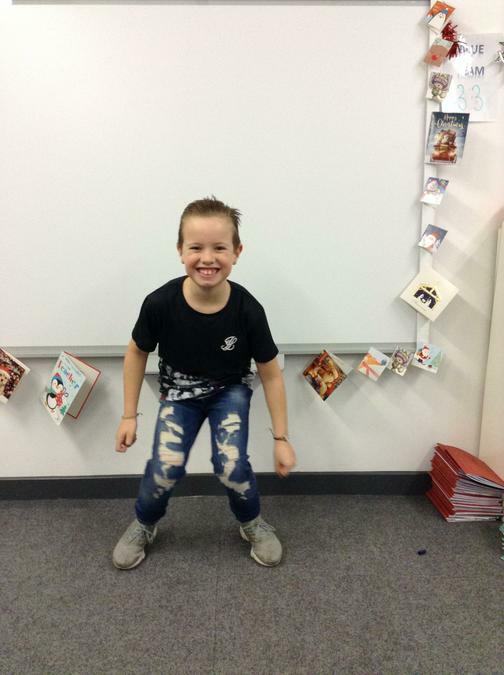 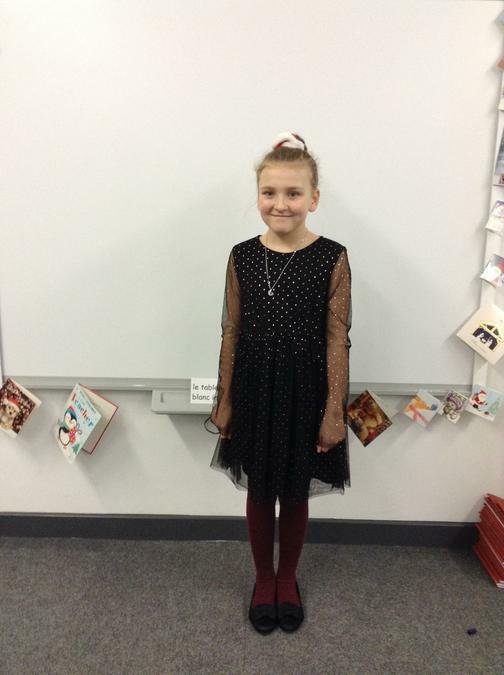 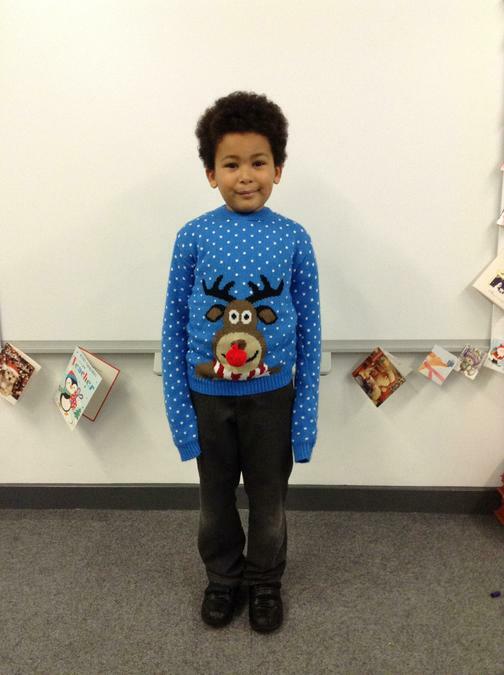 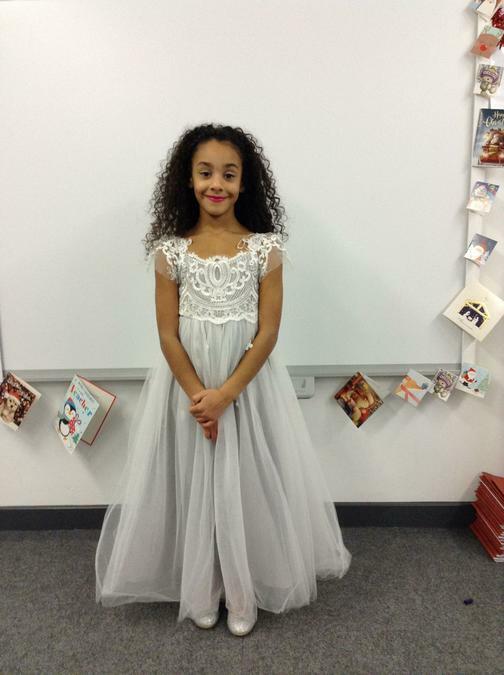 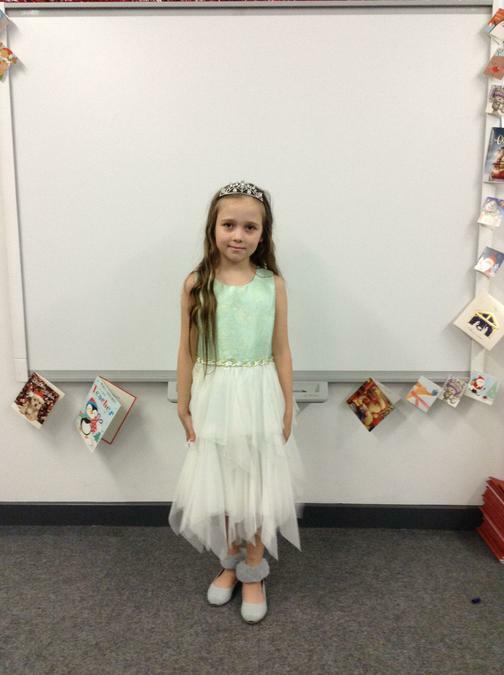 We really loved our Christmas party it was a great way to end our first term in Y3.